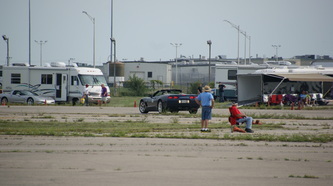 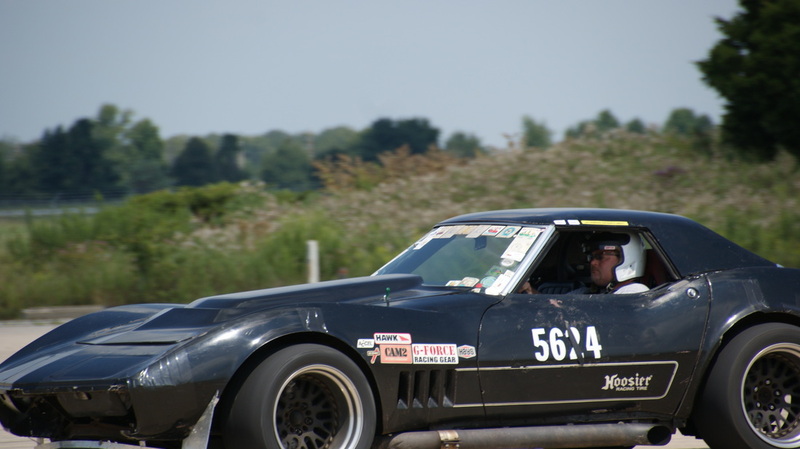 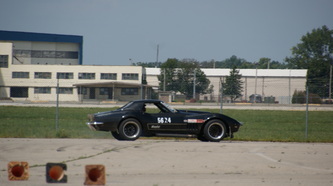 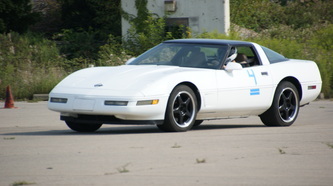 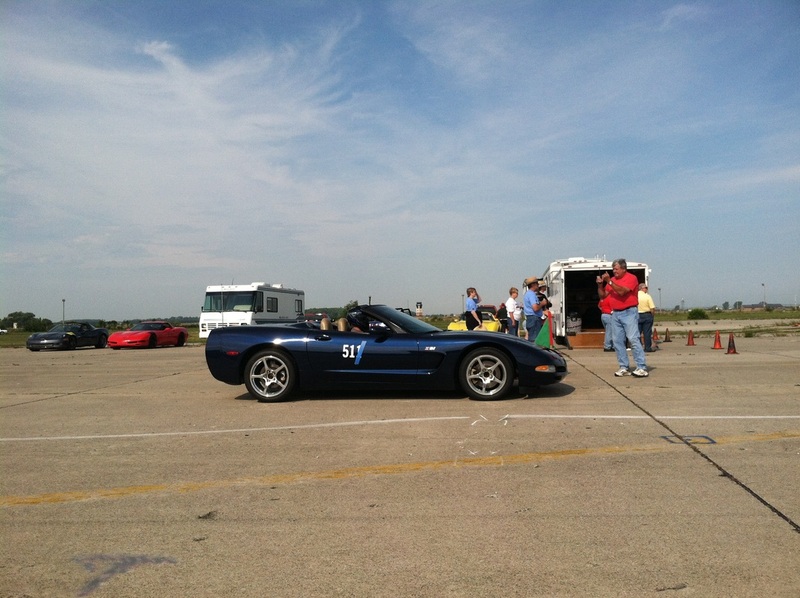 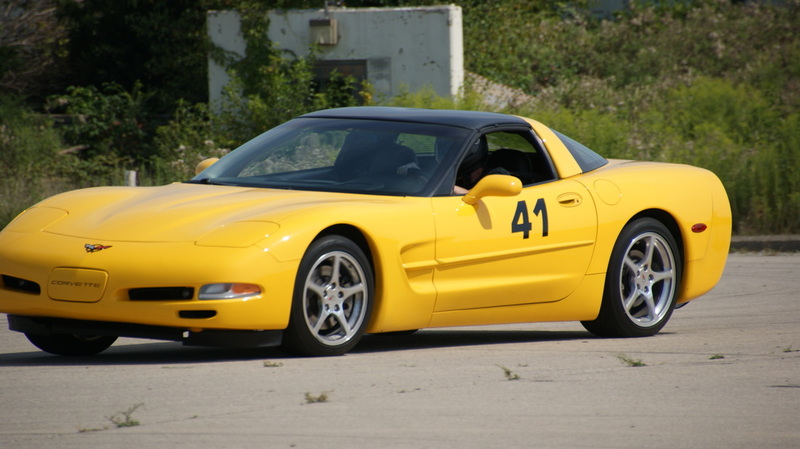 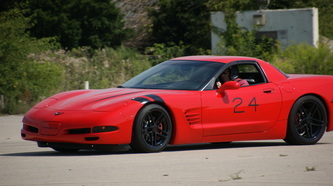 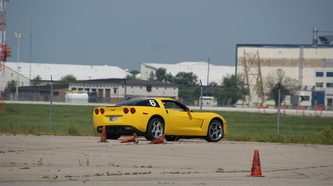 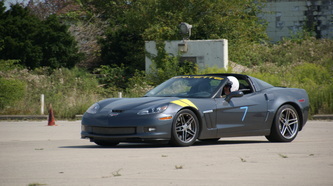 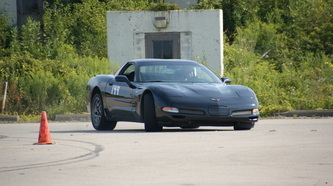 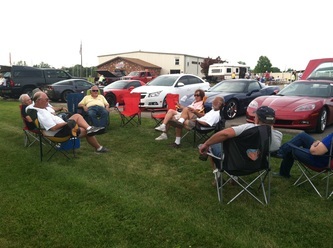 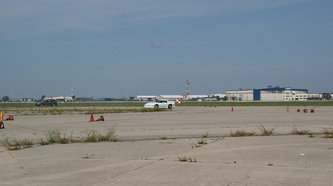 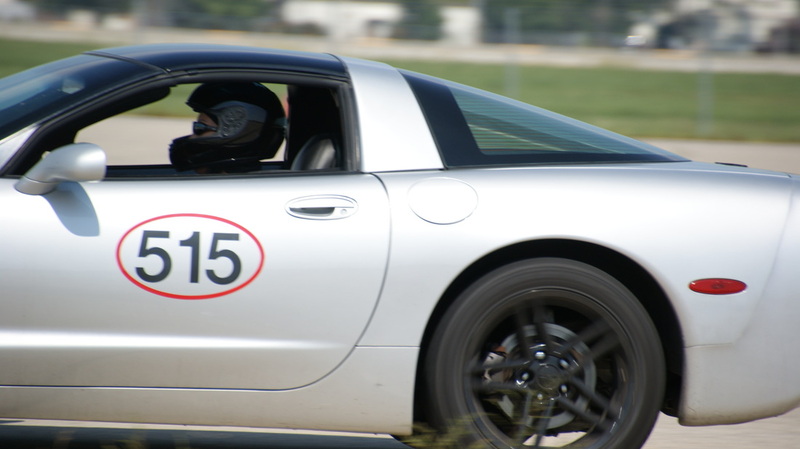 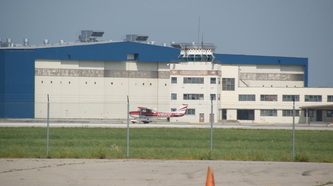 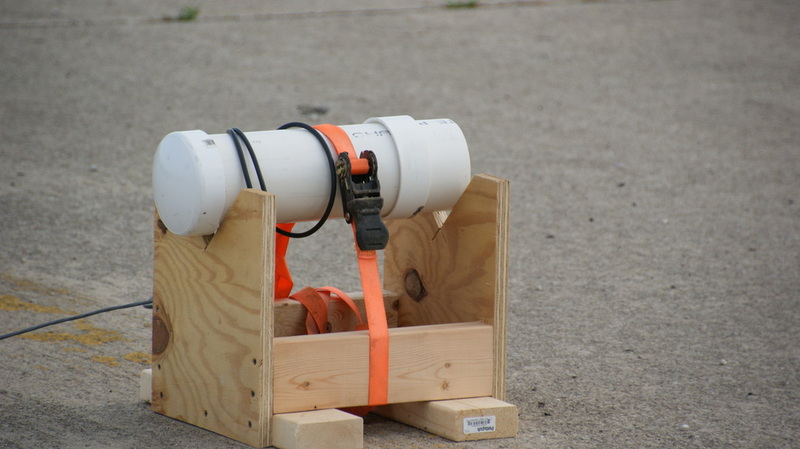 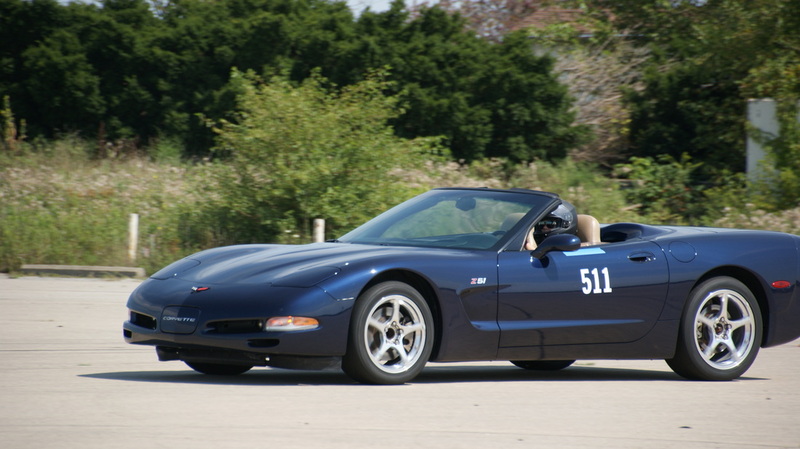 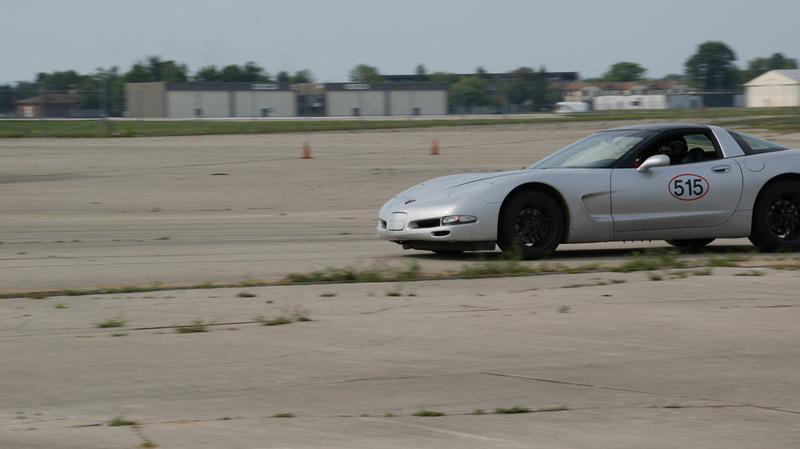 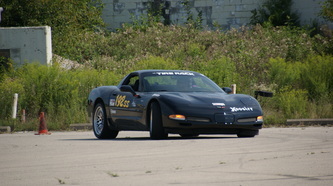 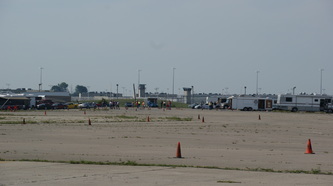 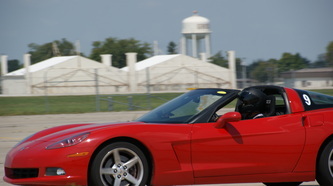 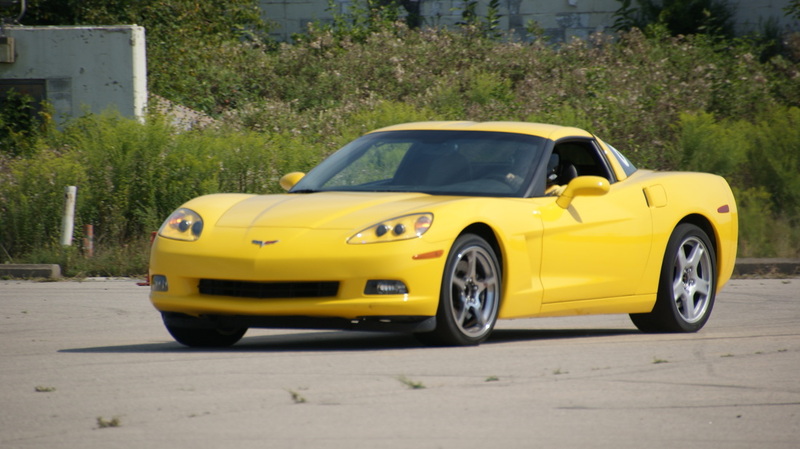 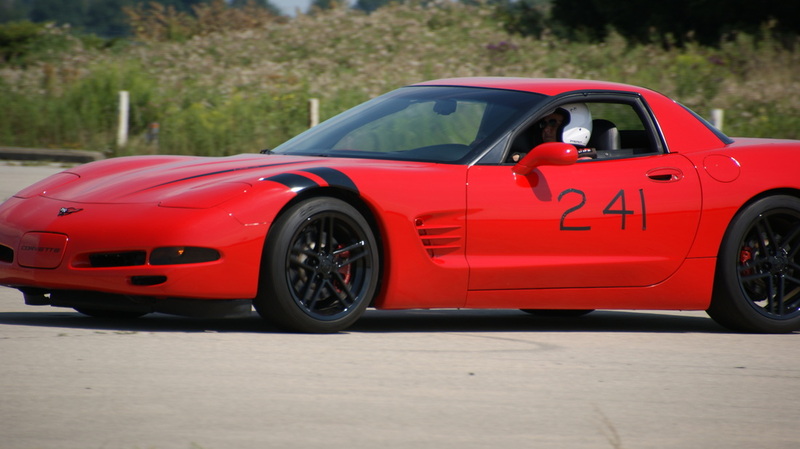 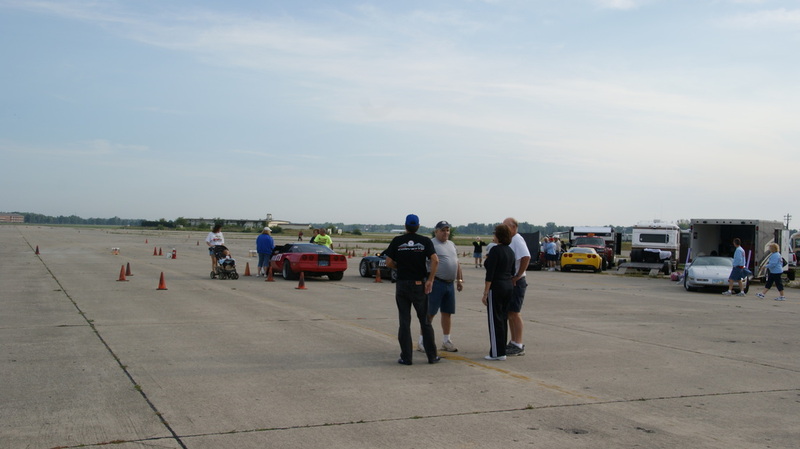 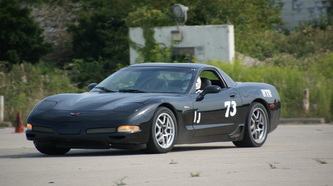 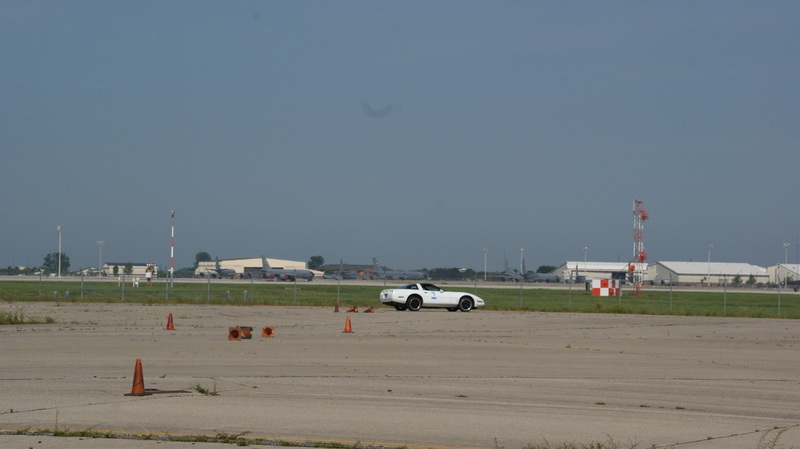 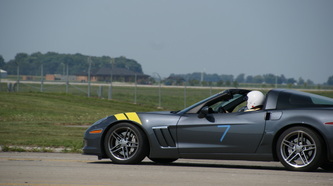 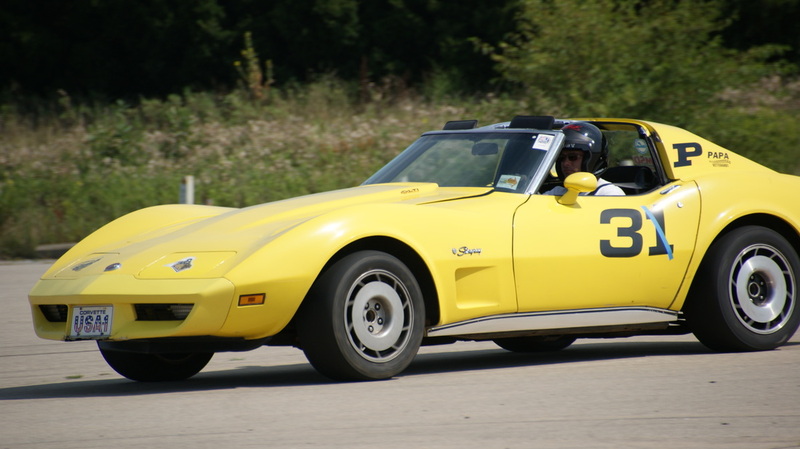 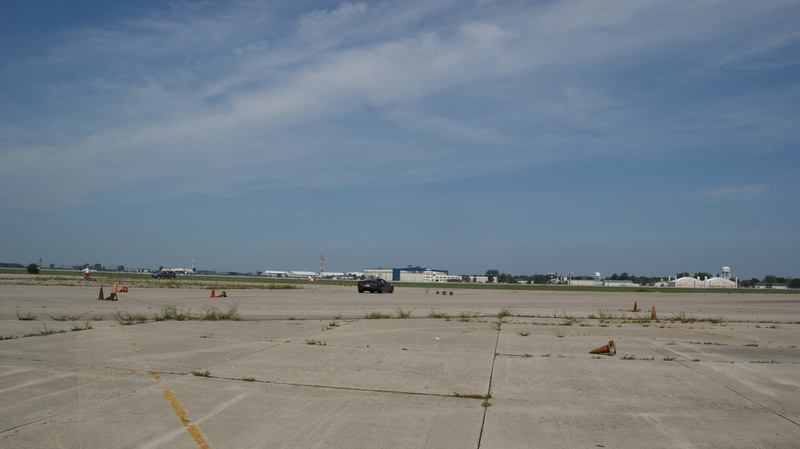 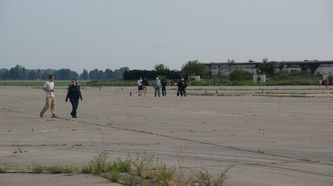 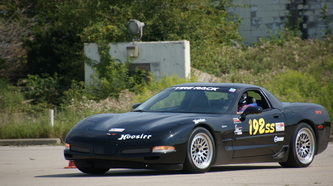 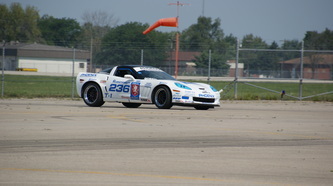 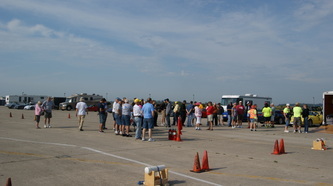 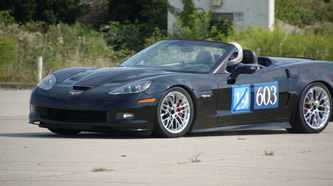 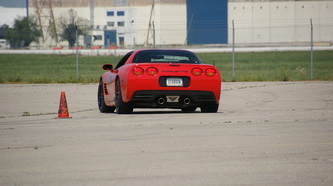 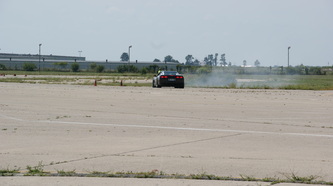 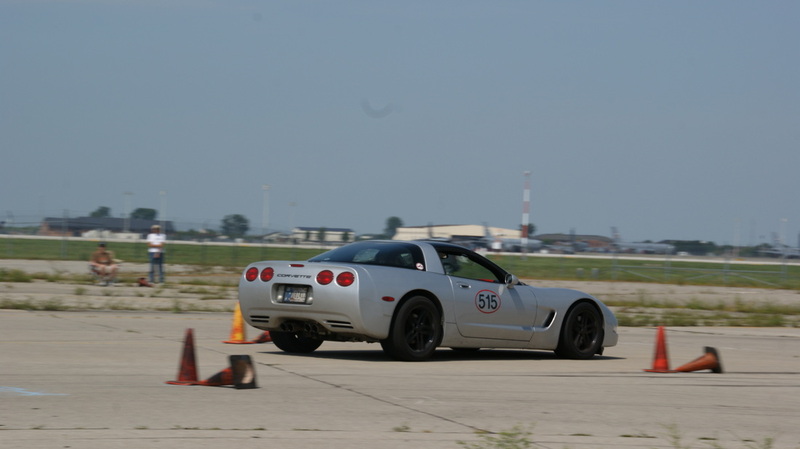 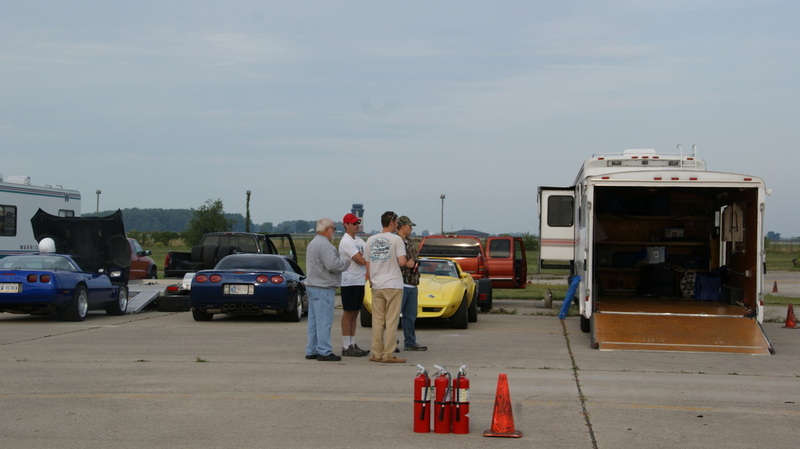 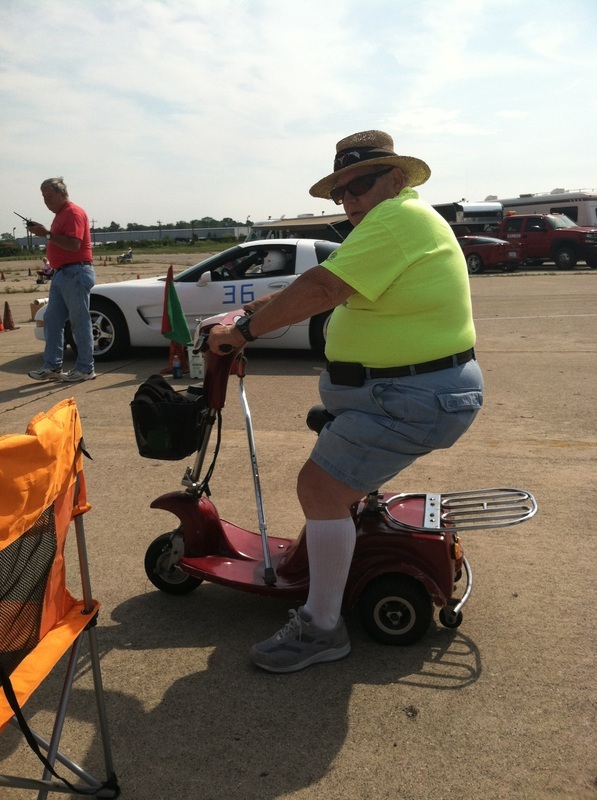 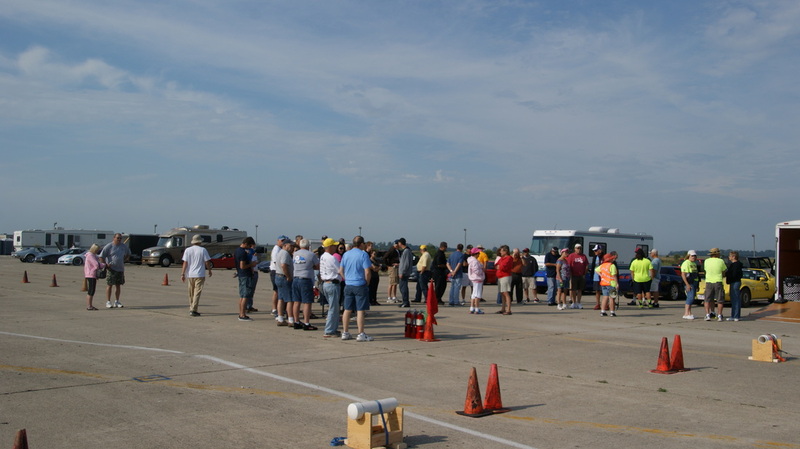 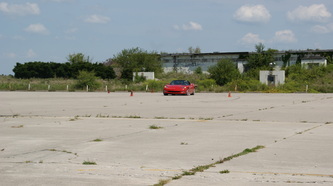 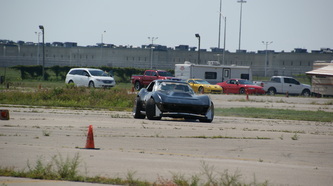 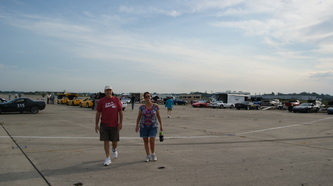 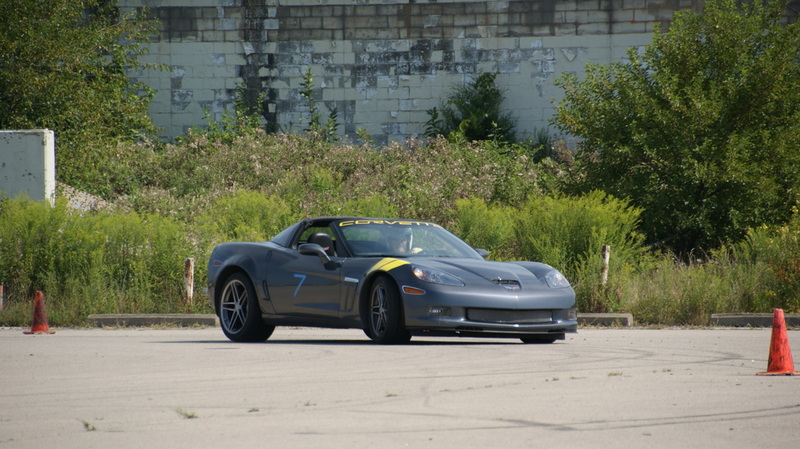 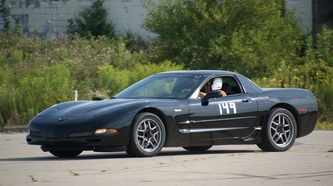 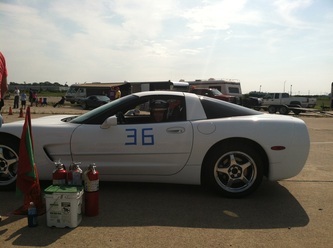 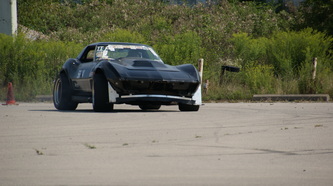 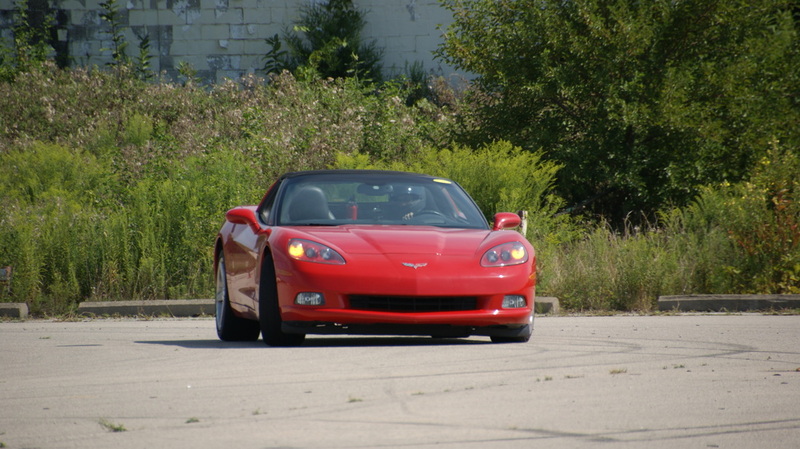 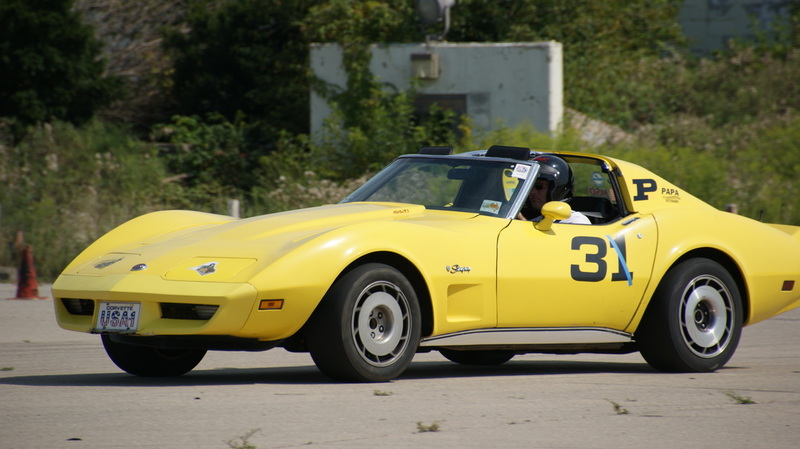 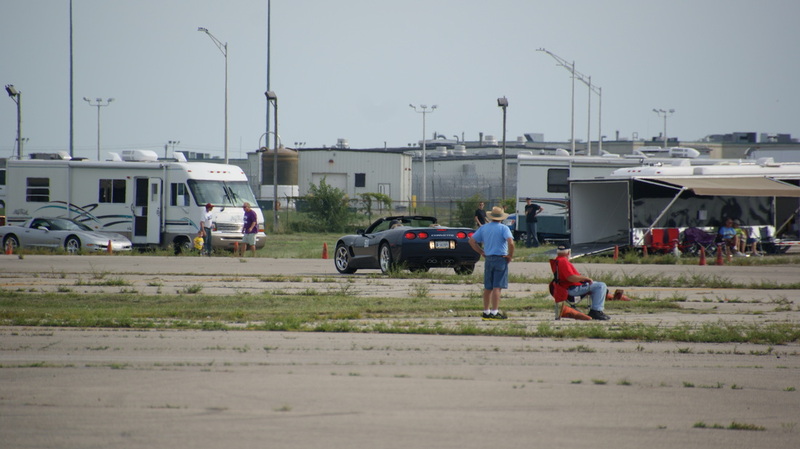 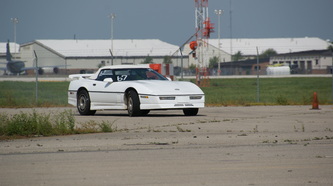 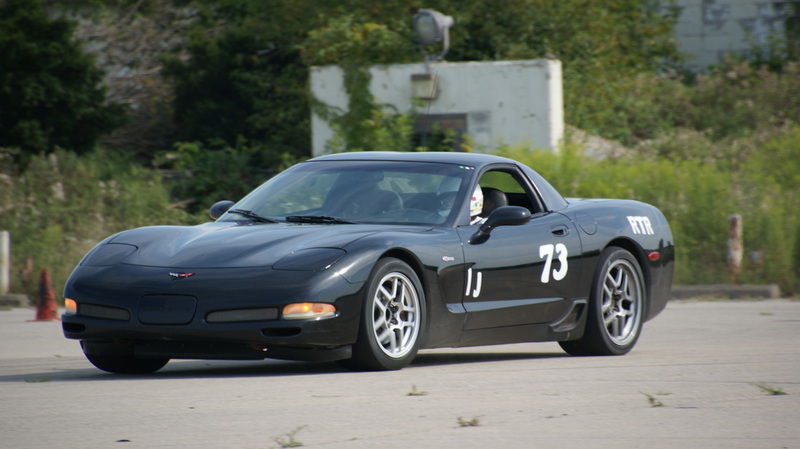 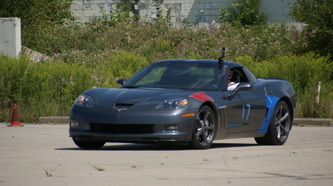 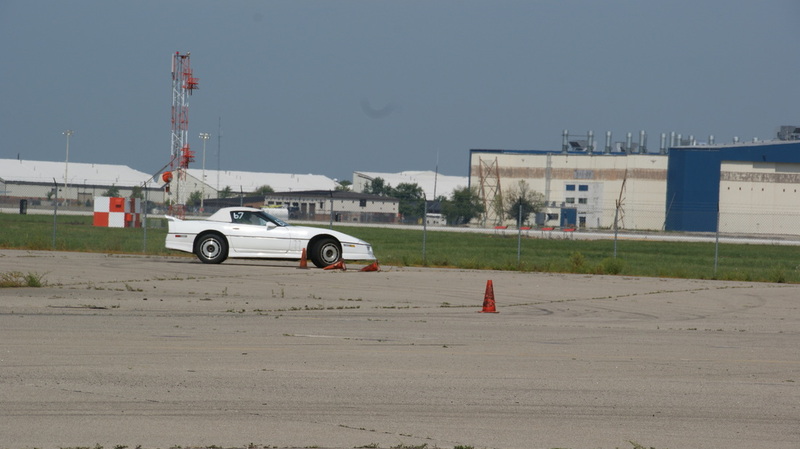 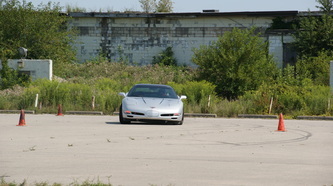 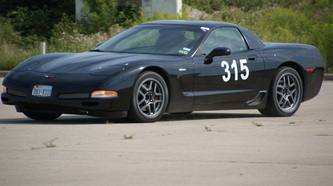 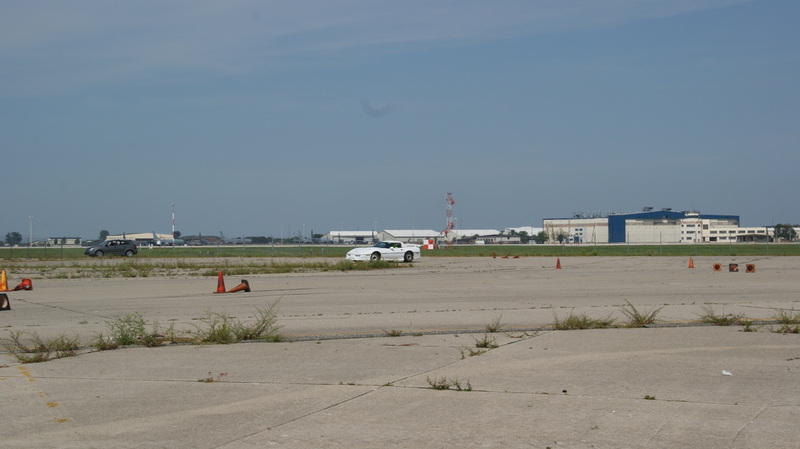 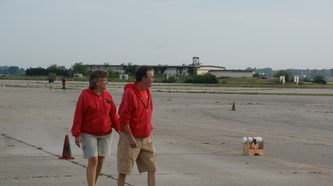 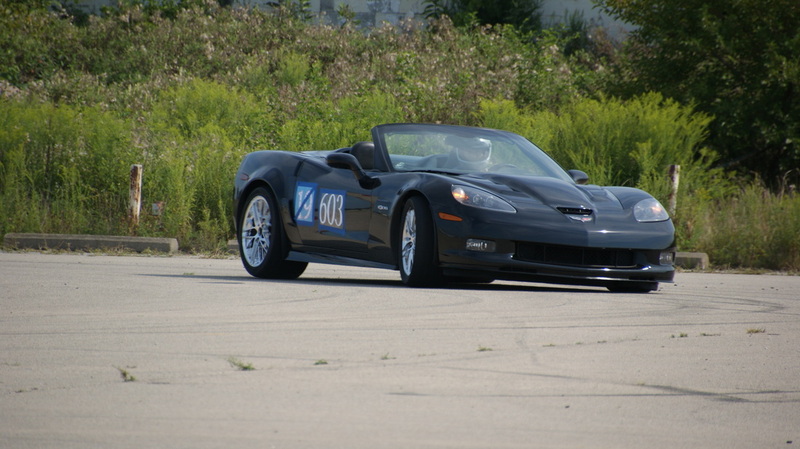 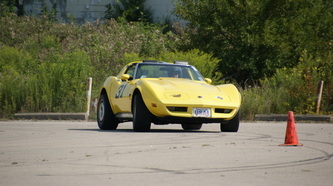 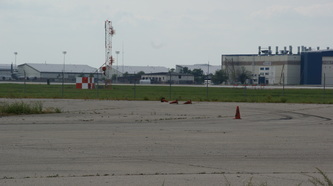 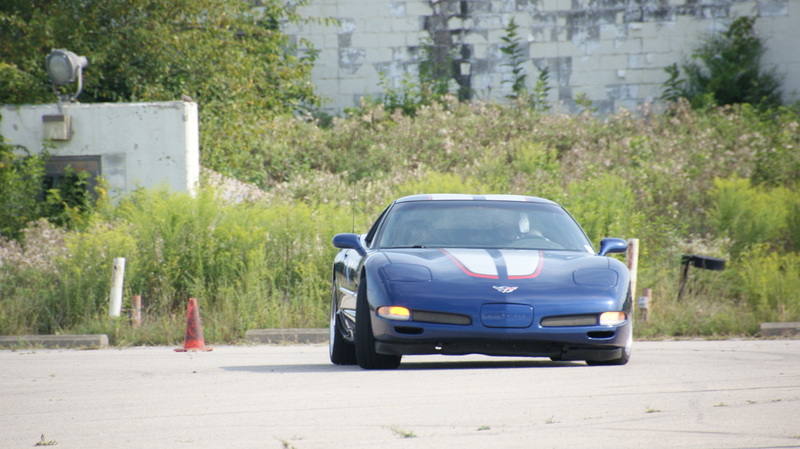 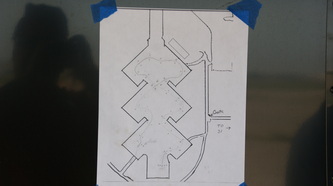 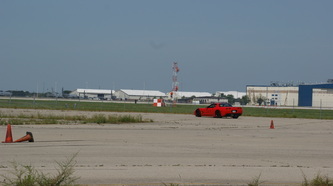 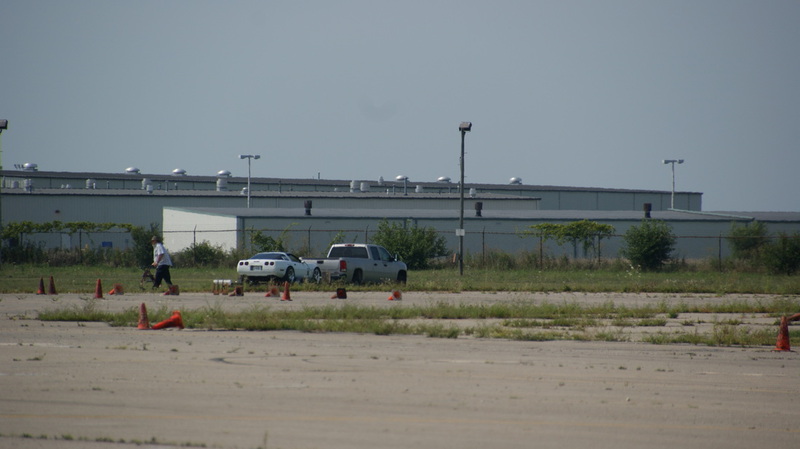 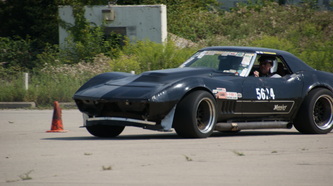 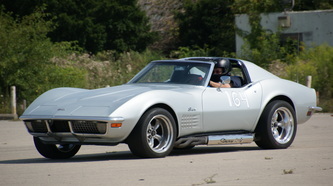 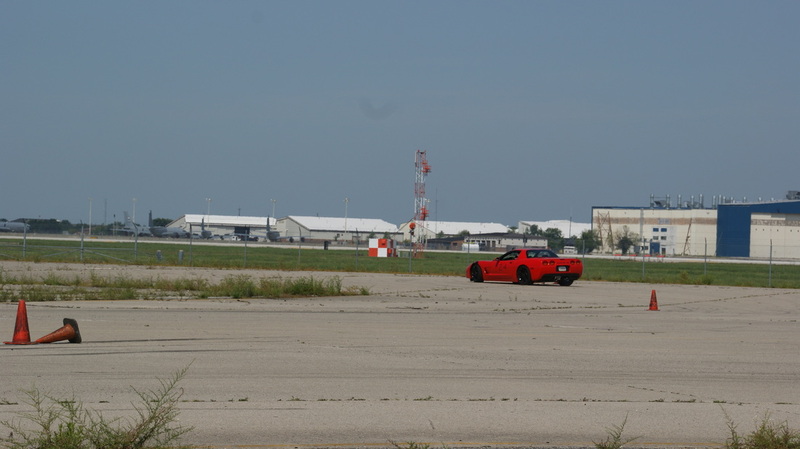 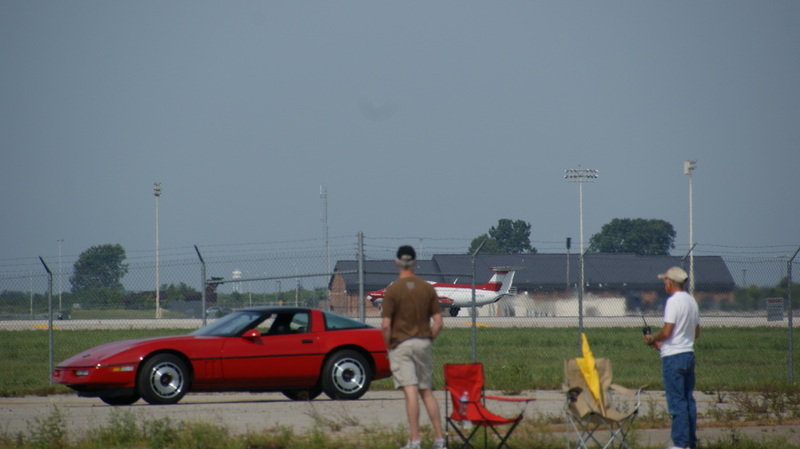 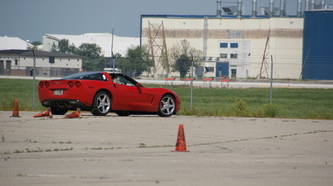 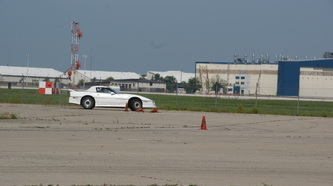 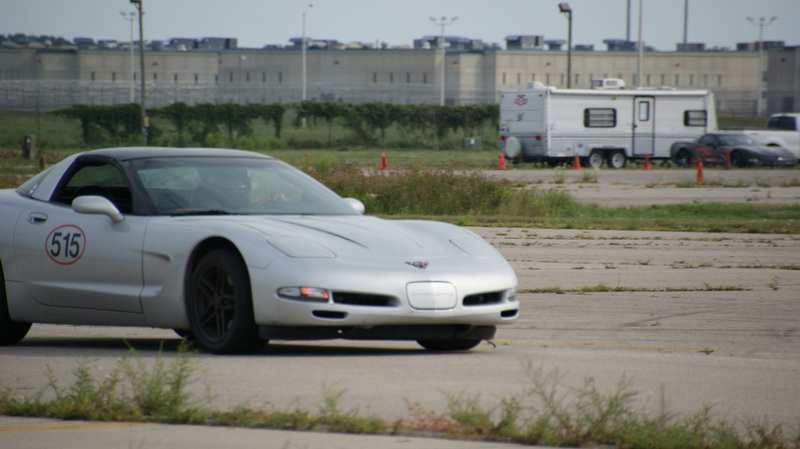 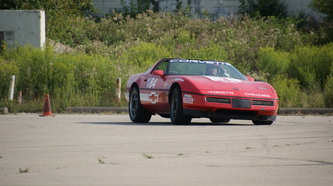 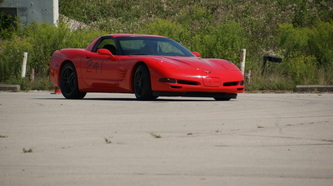 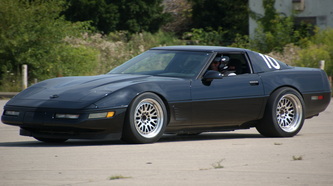 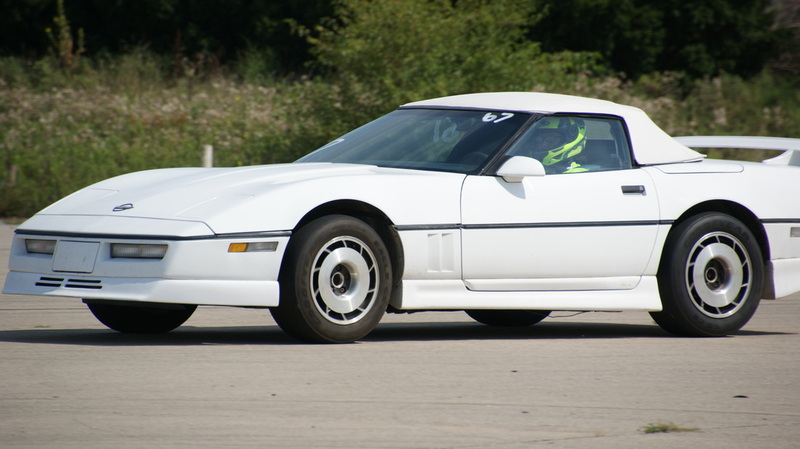 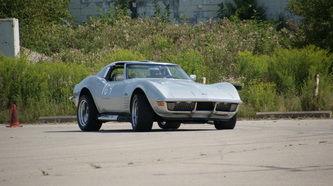 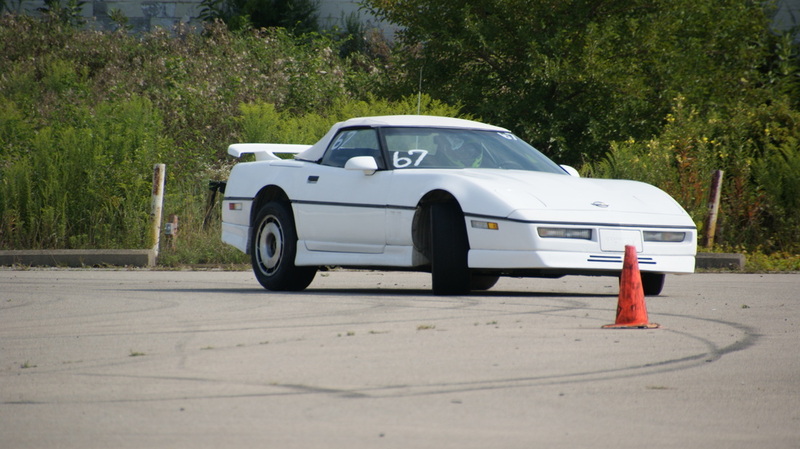 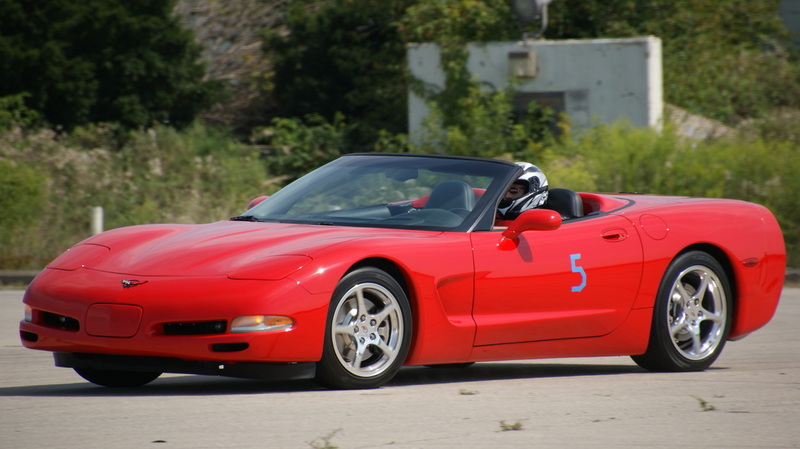 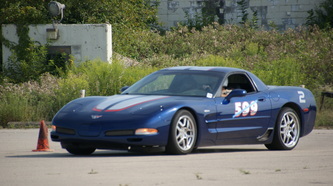 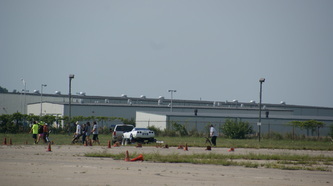 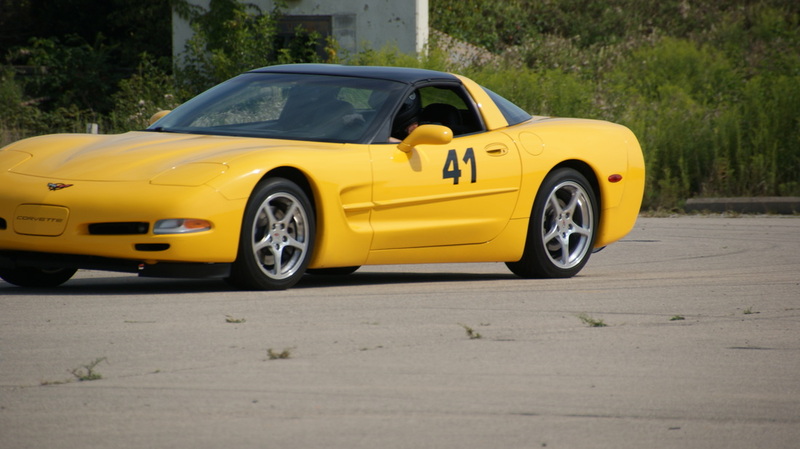 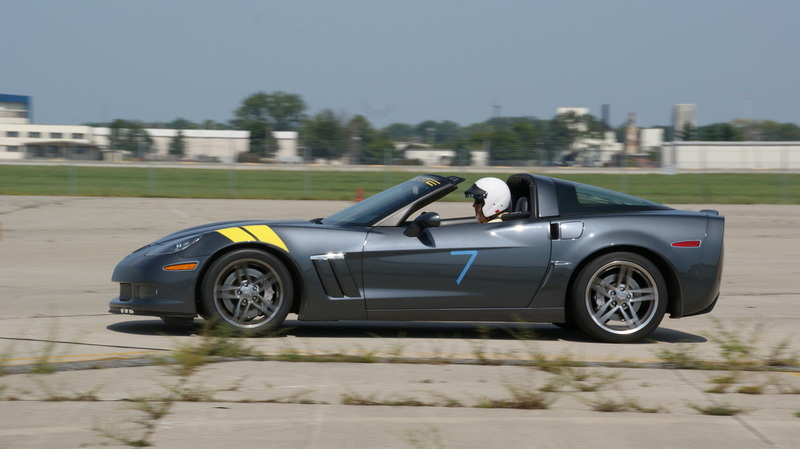 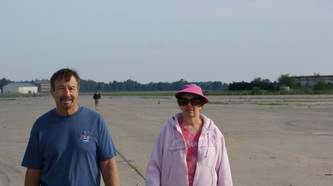 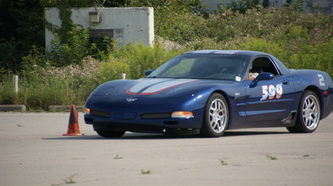 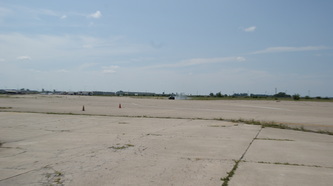 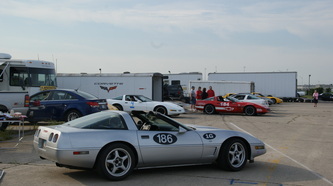 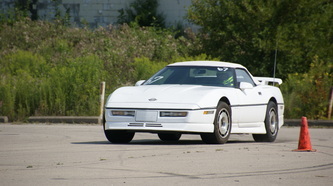 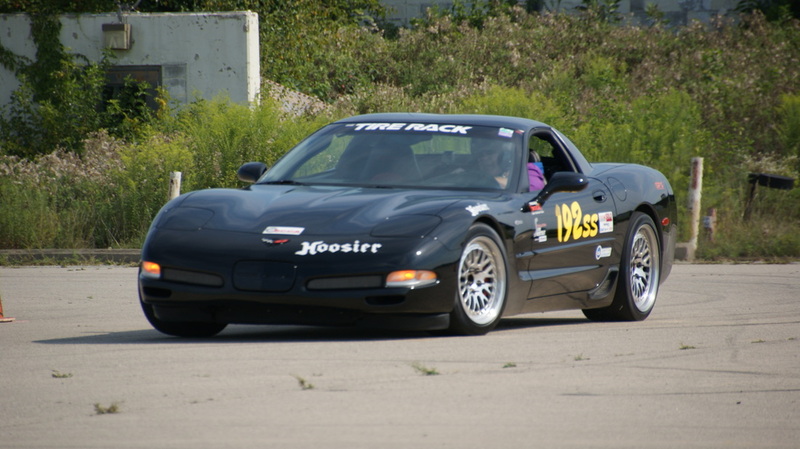 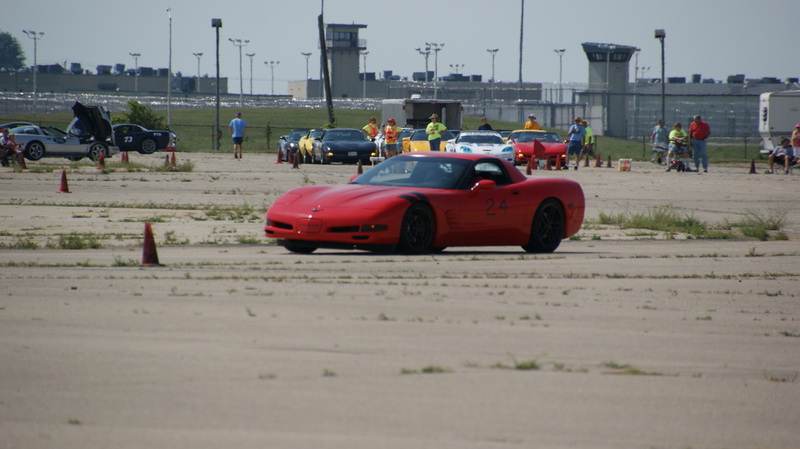 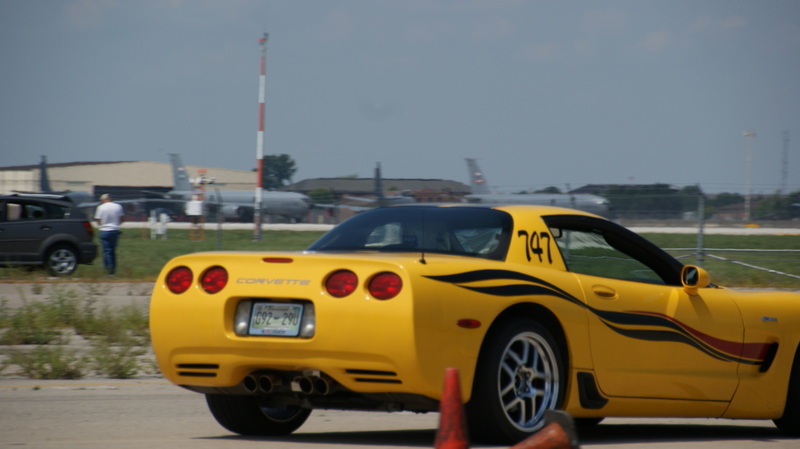 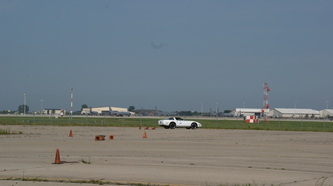 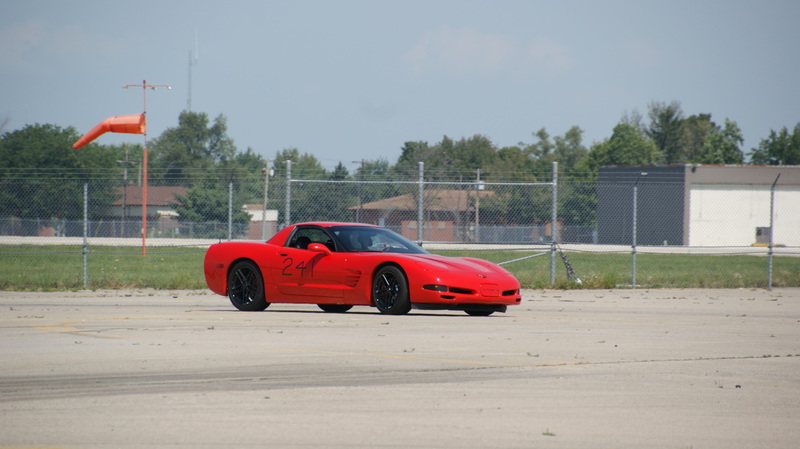 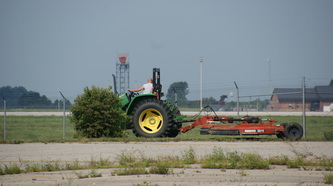 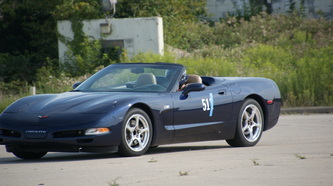 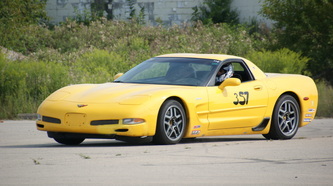 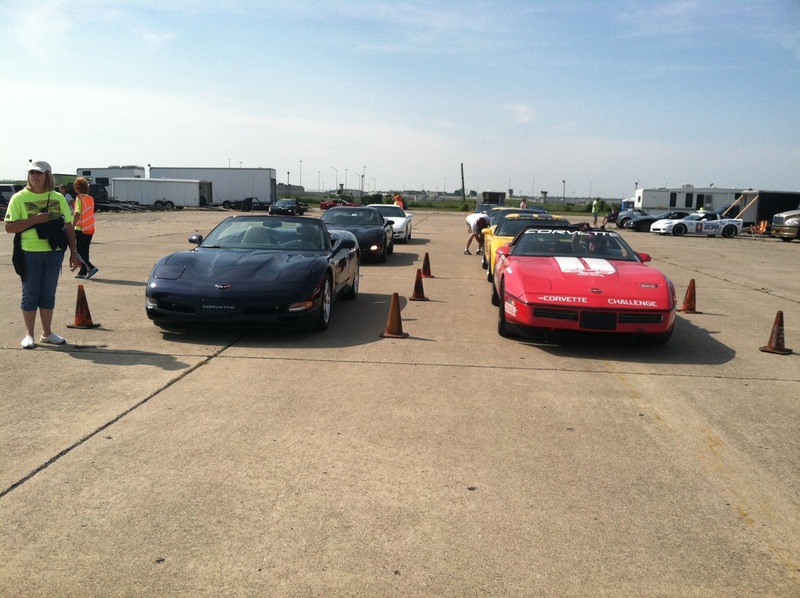 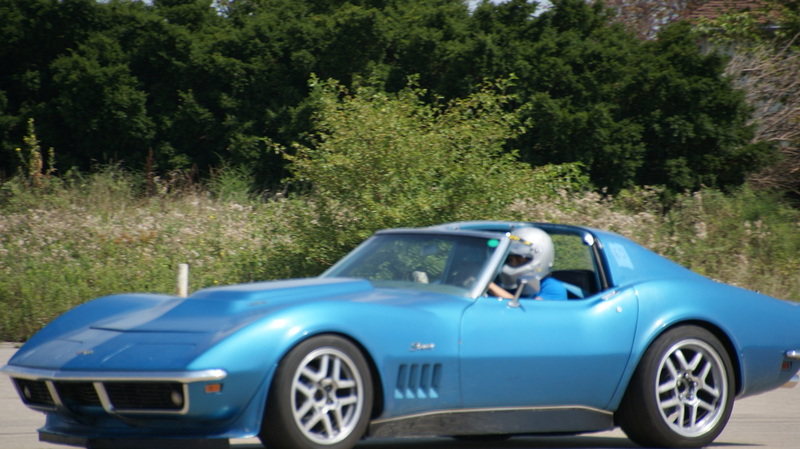 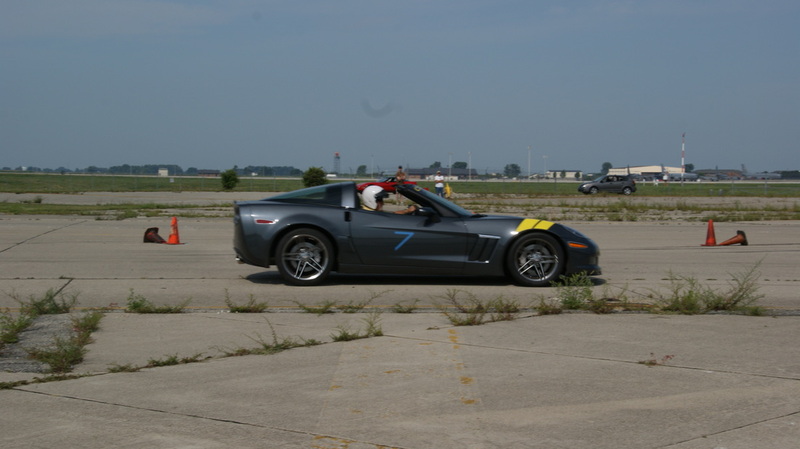 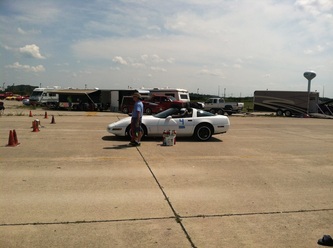 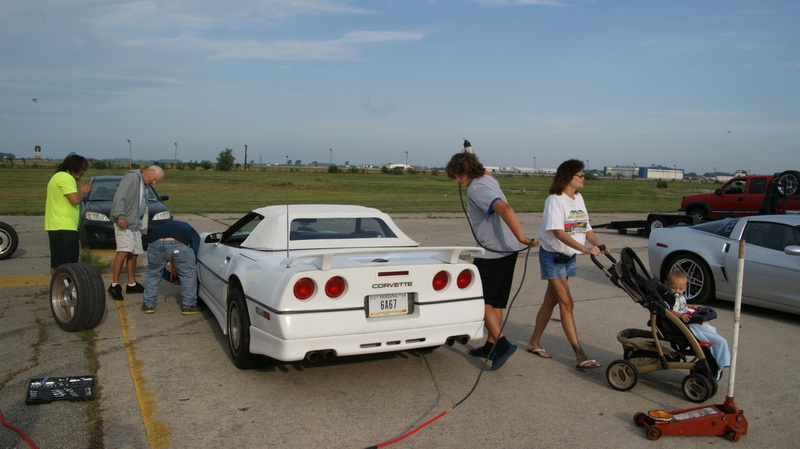 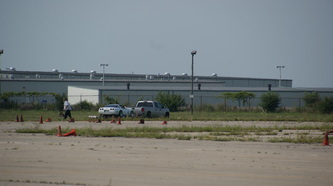 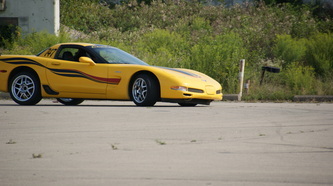 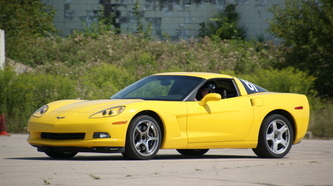 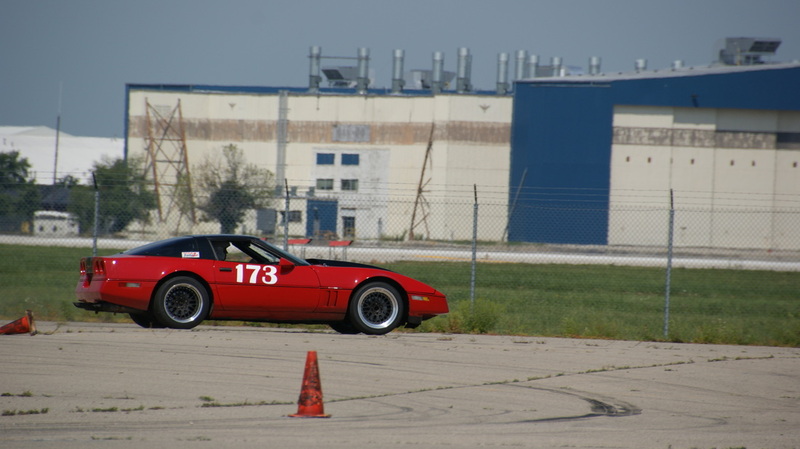 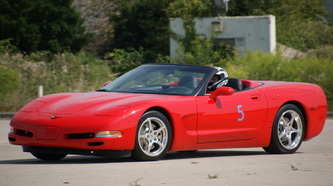 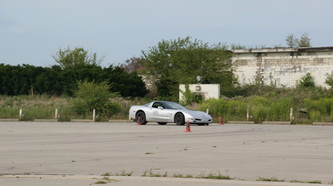 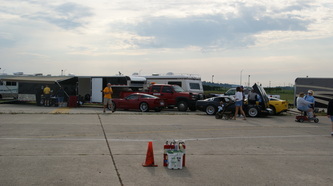 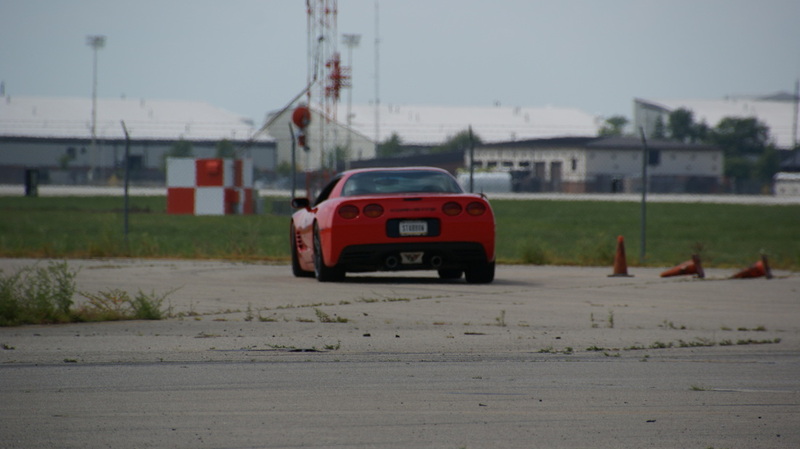 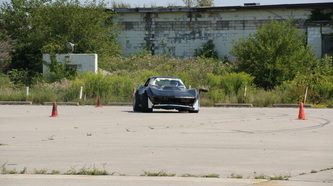 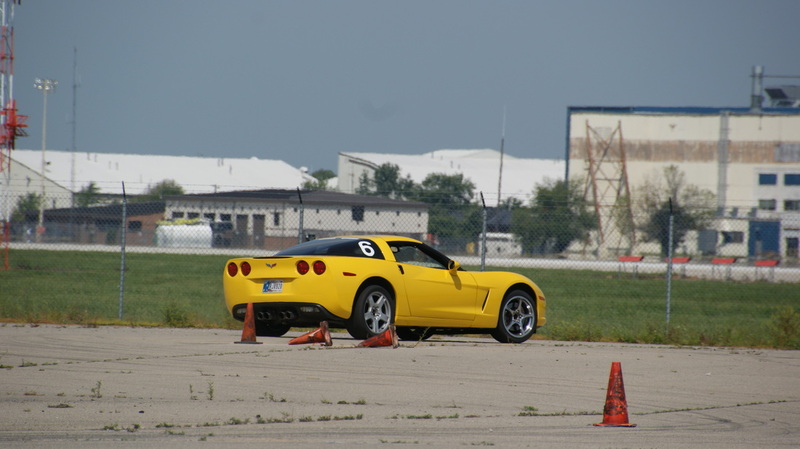 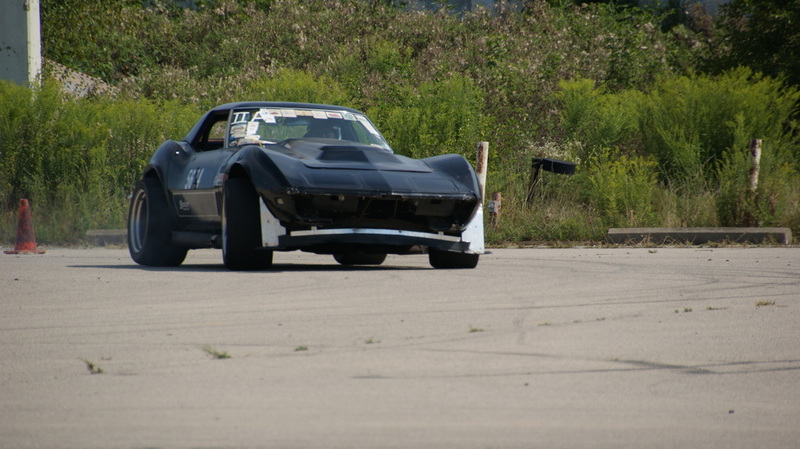 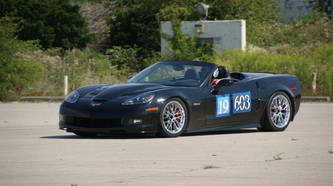 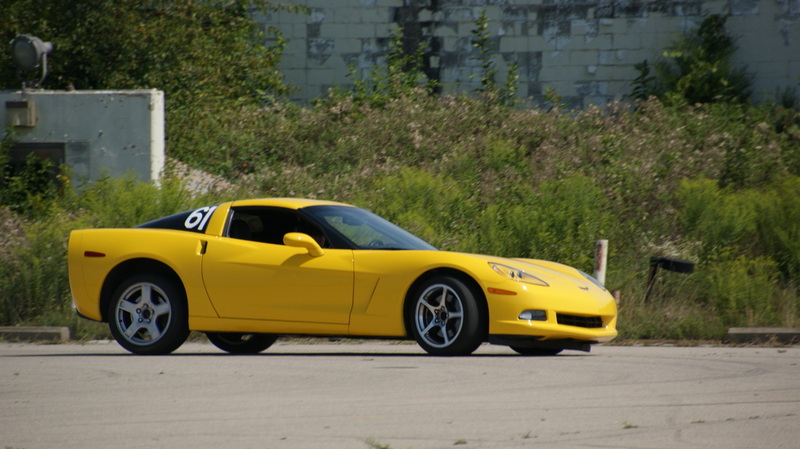 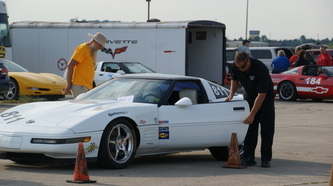 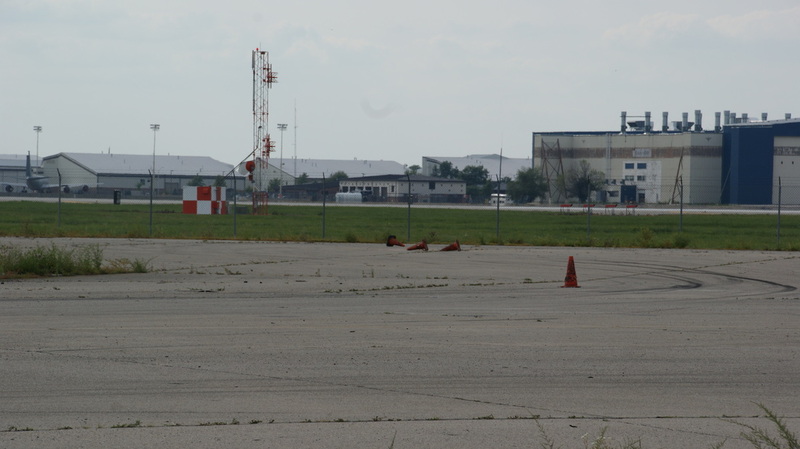 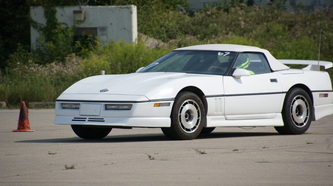 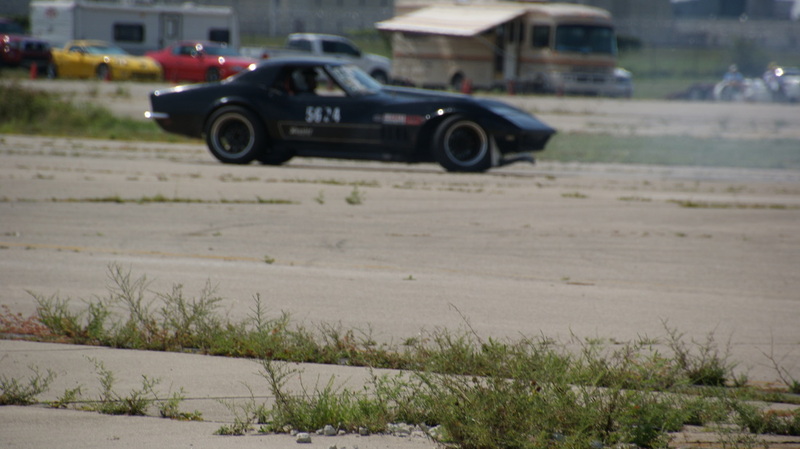 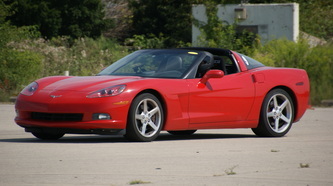 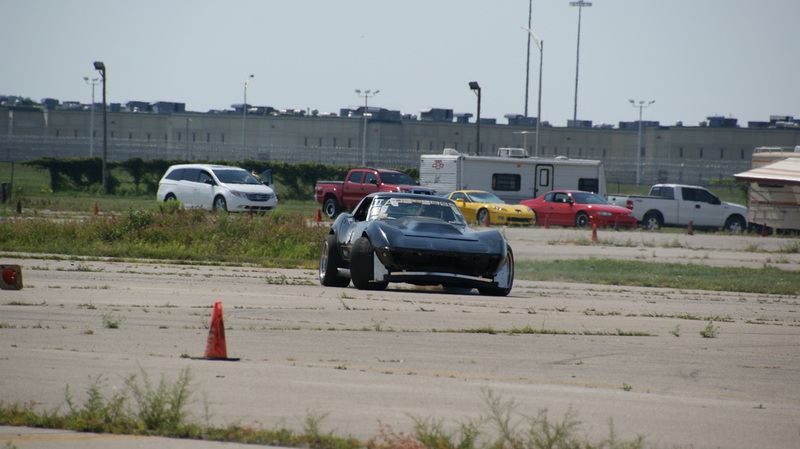 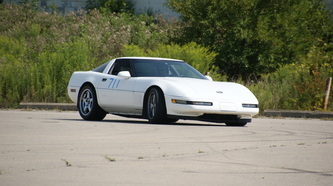 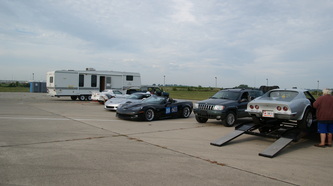 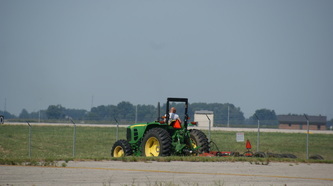 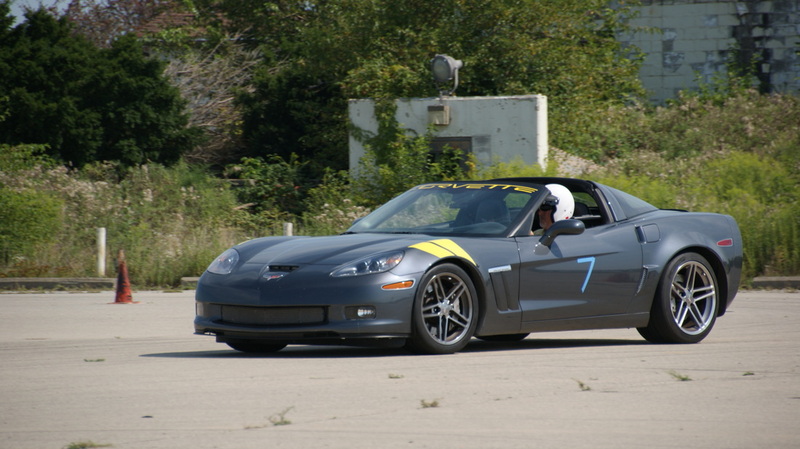 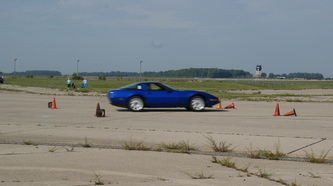 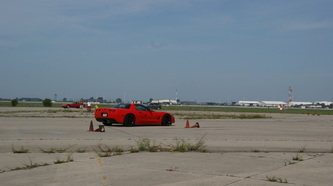 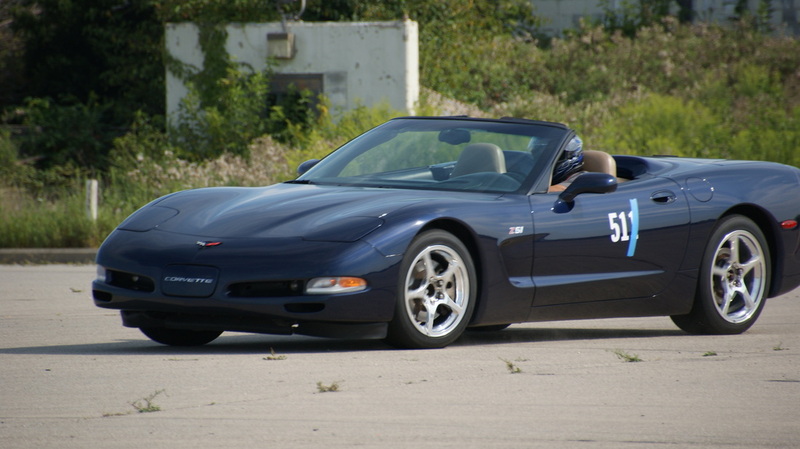 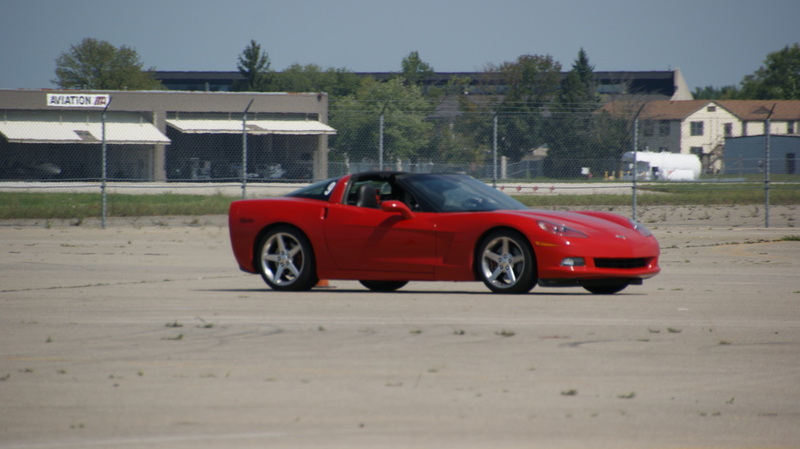 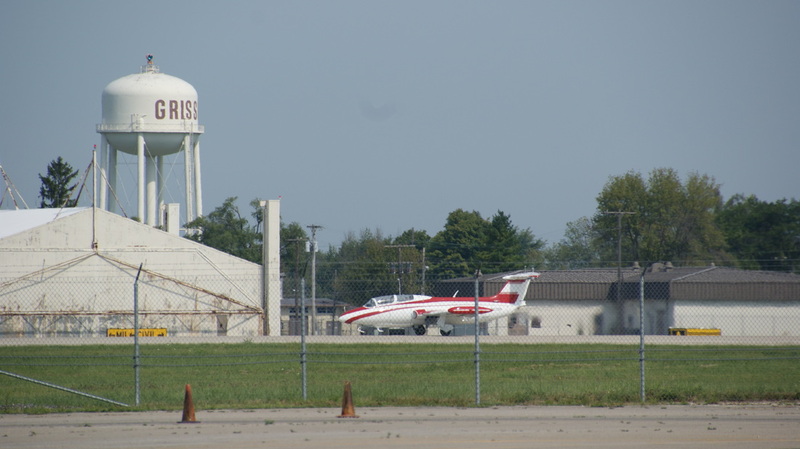 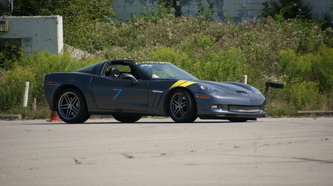 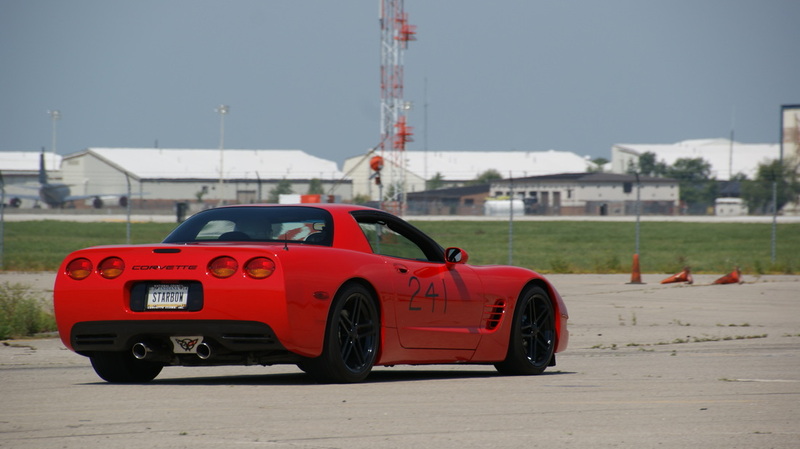 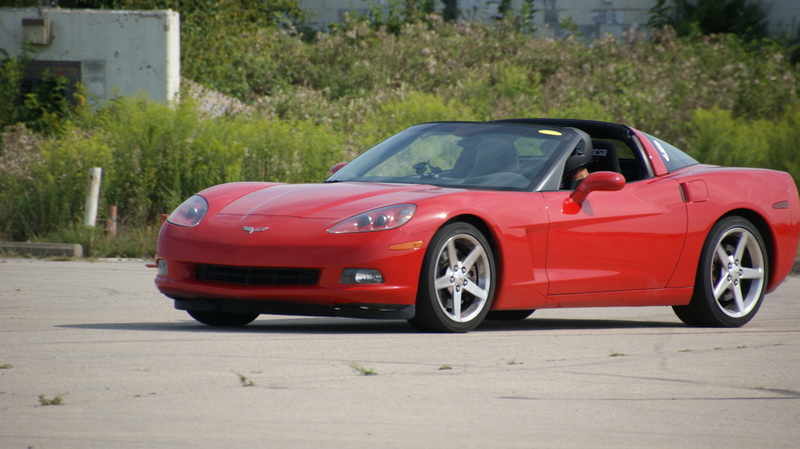 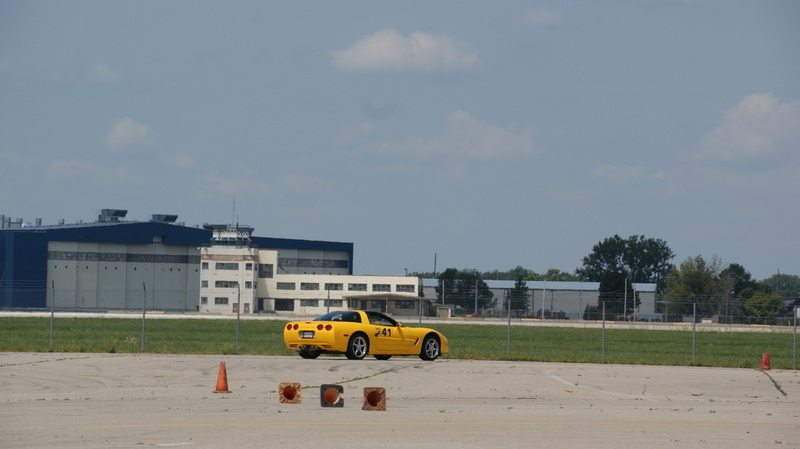 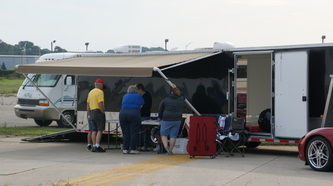 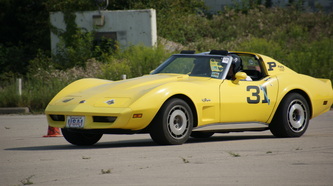 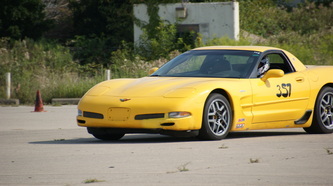 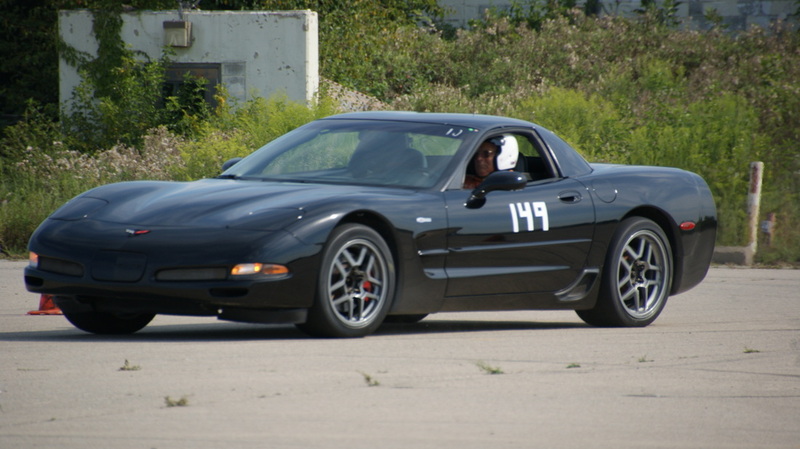 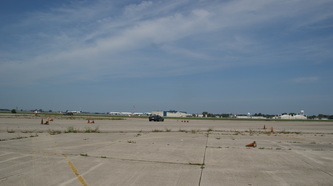 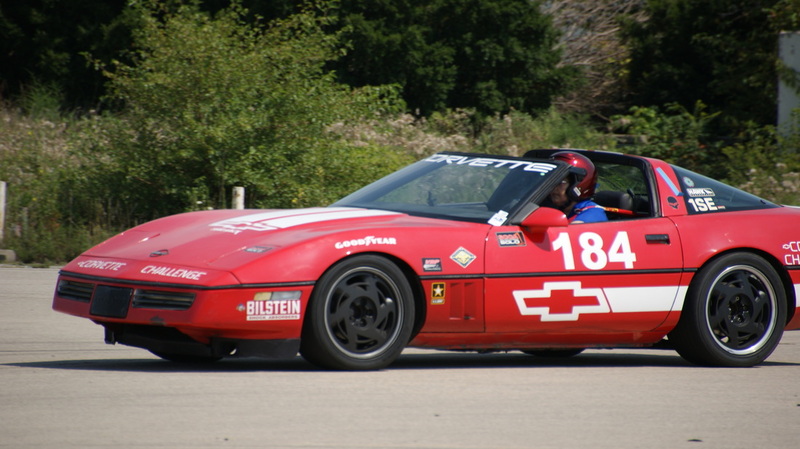 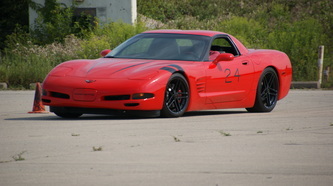 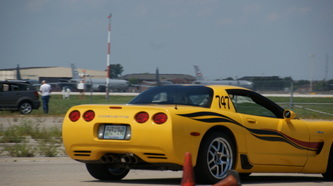 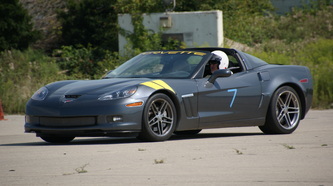 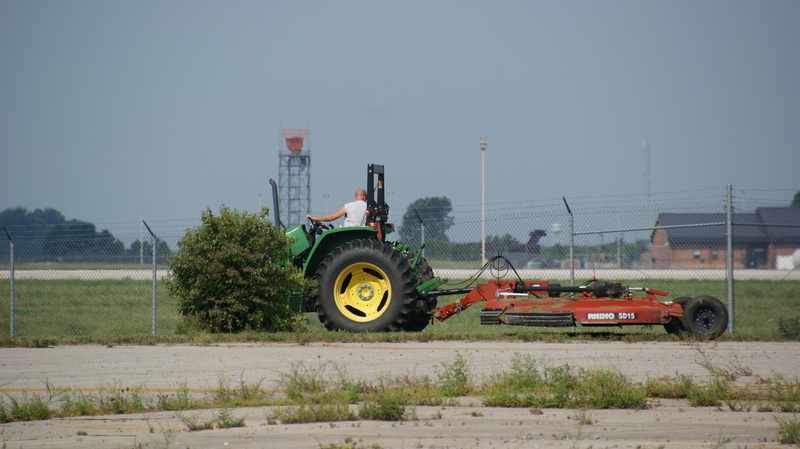 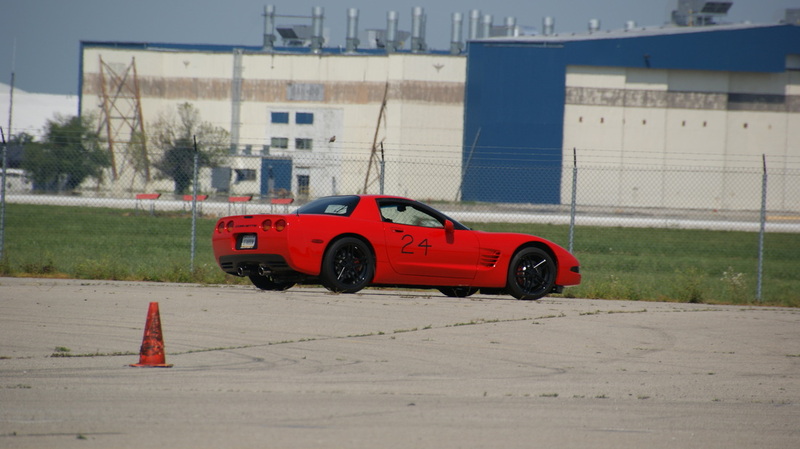 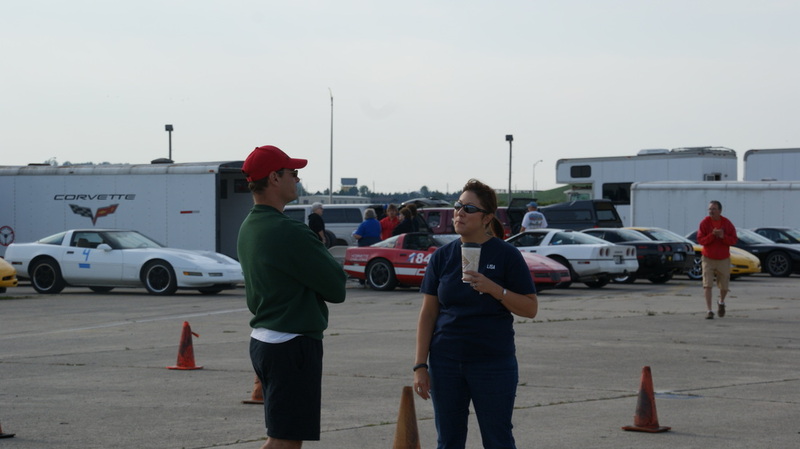 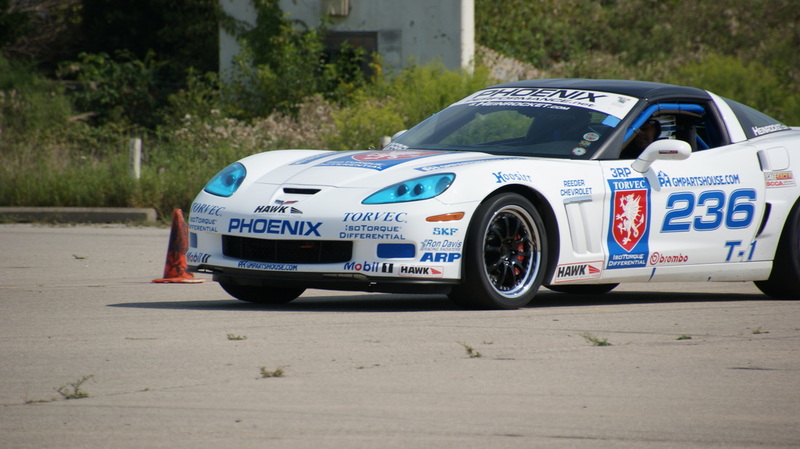 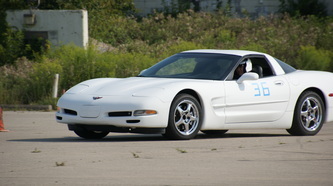 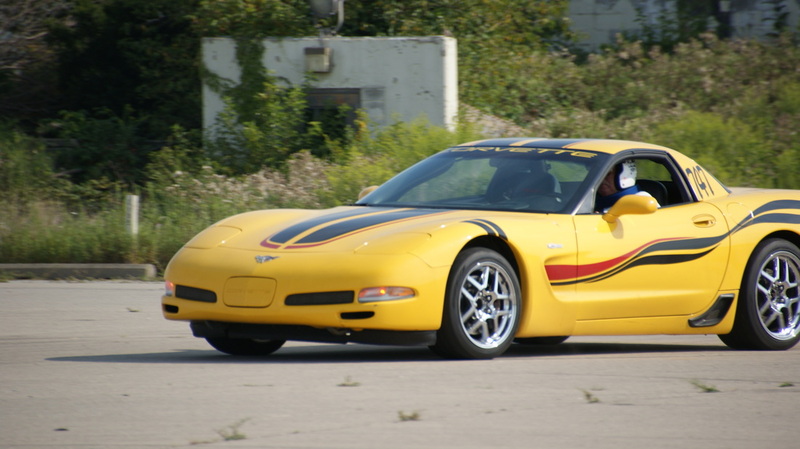 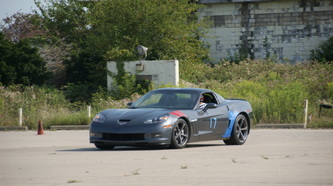 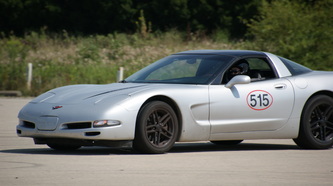 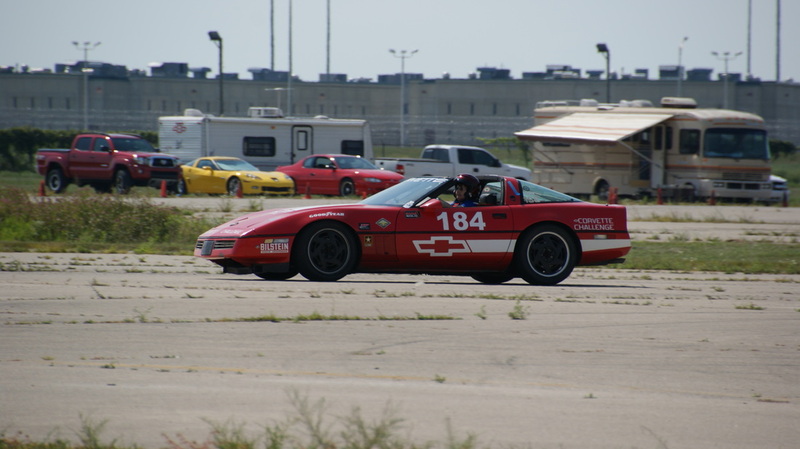 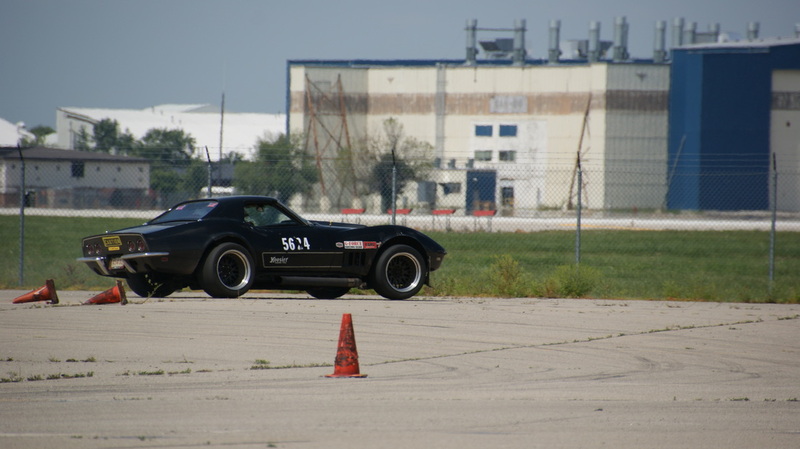 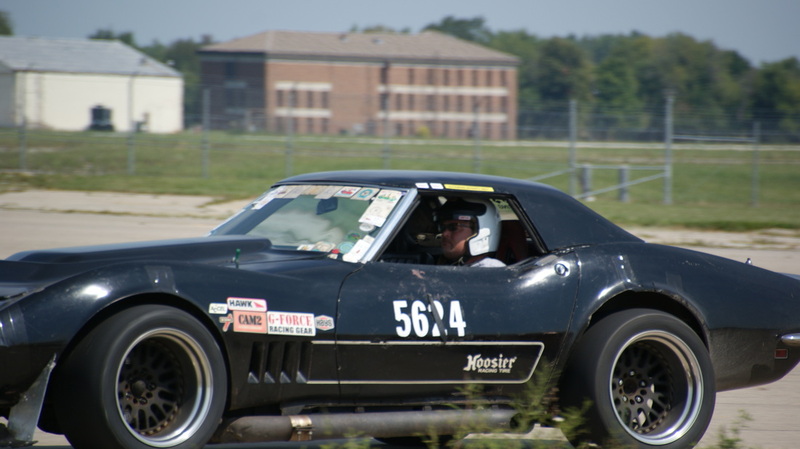 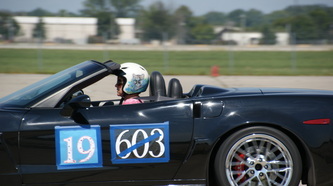 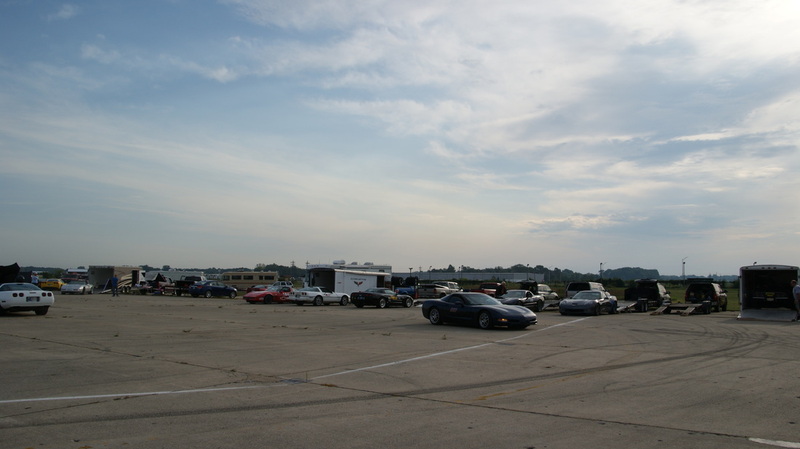 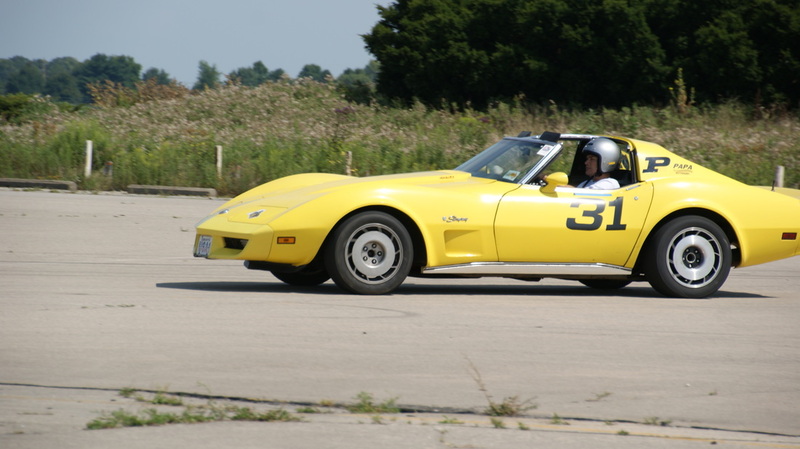 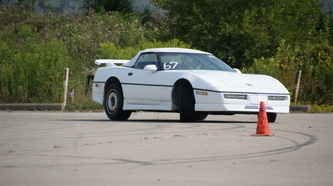 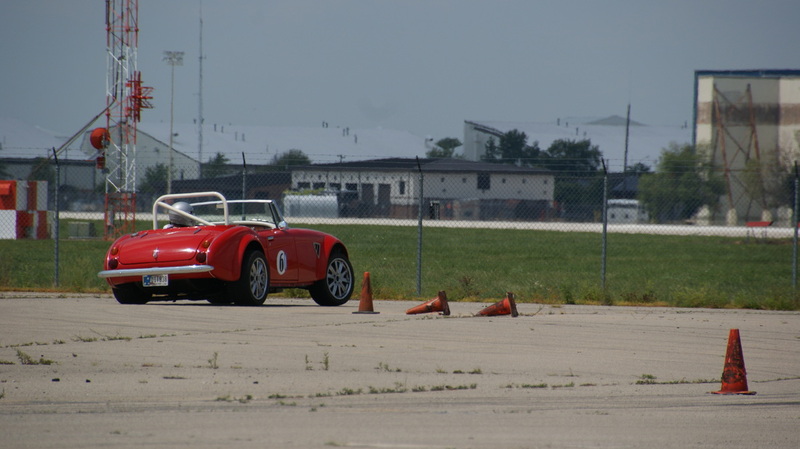 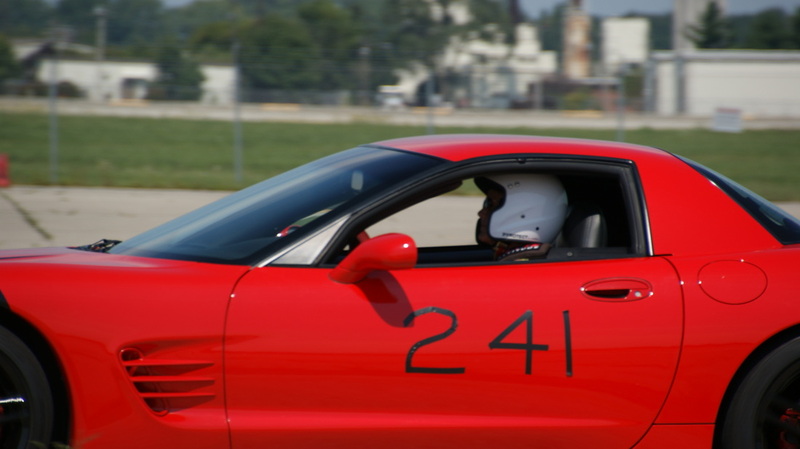 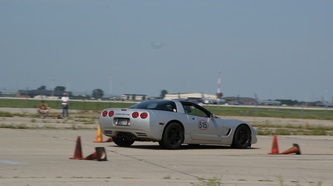 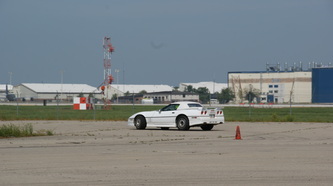 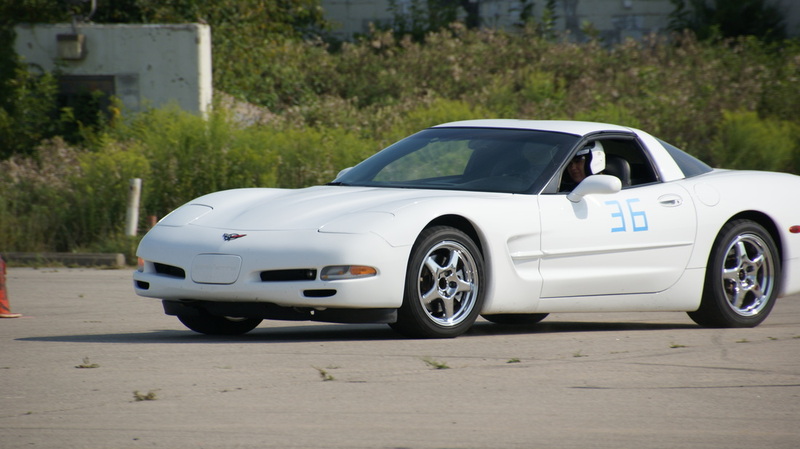 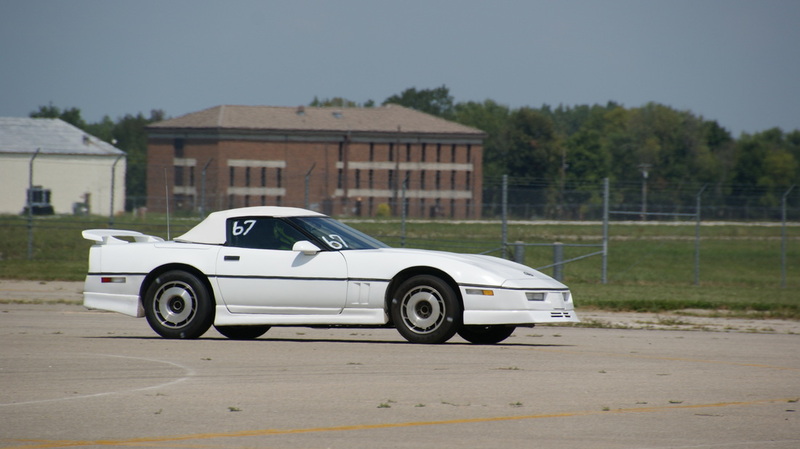 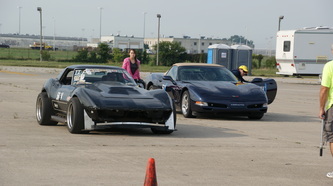 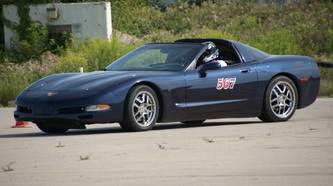 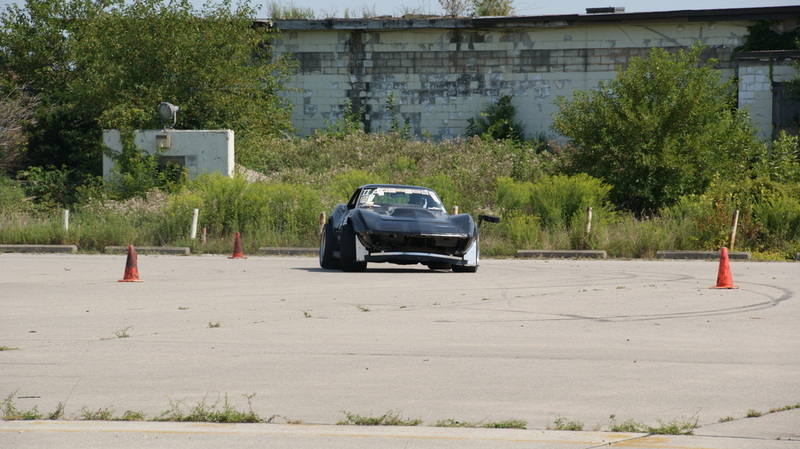 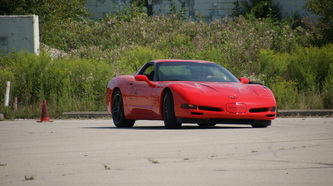 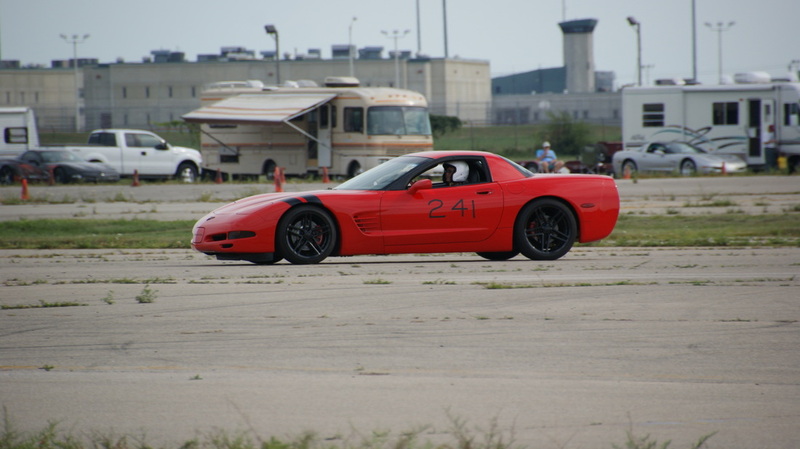 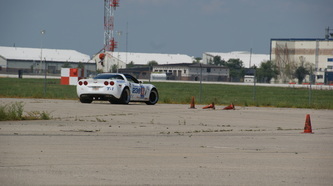 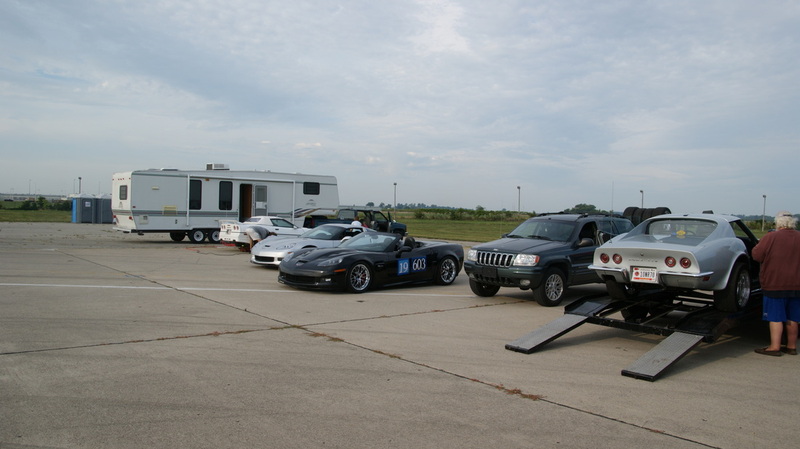 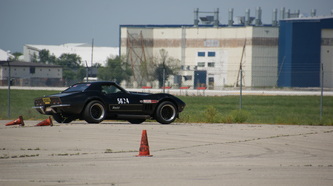 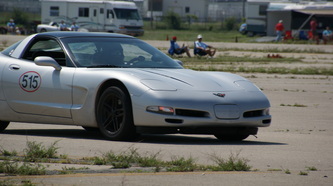 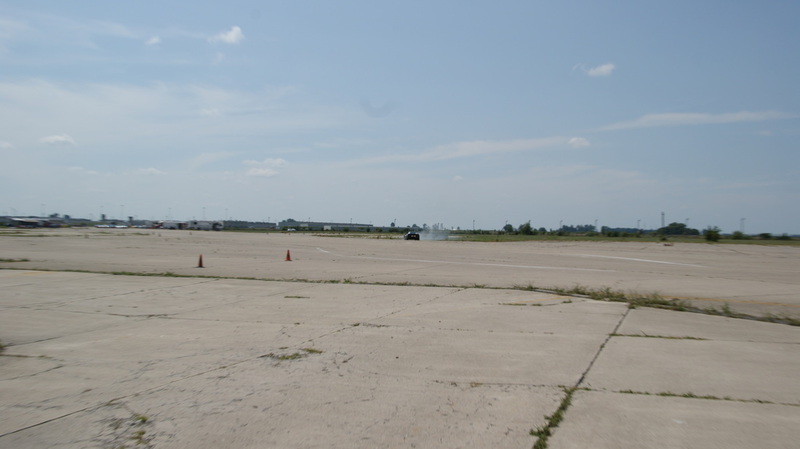 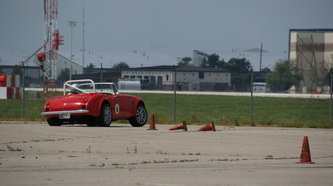 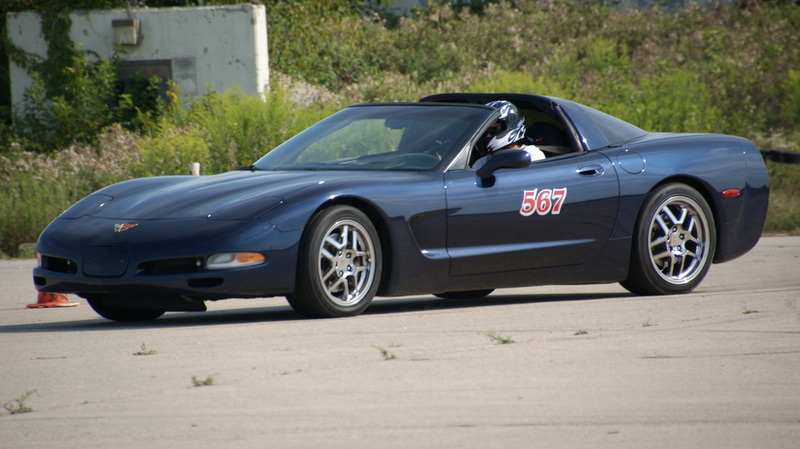 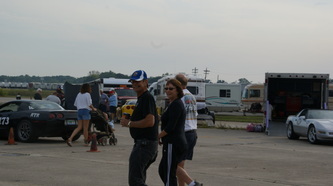 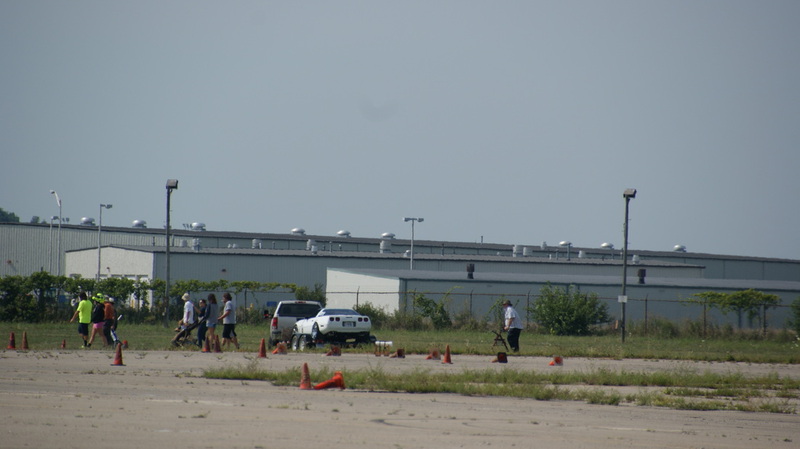 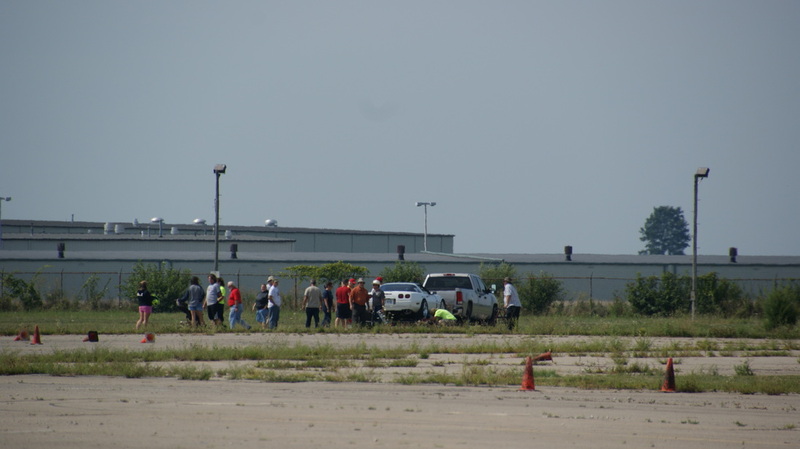 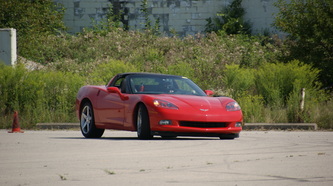 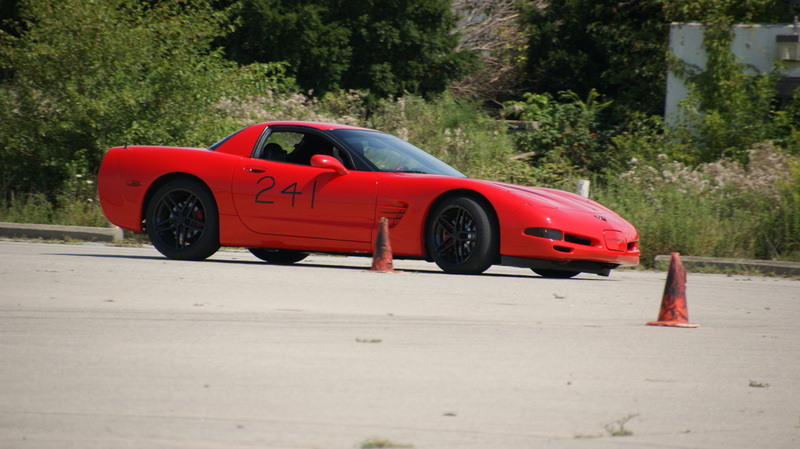 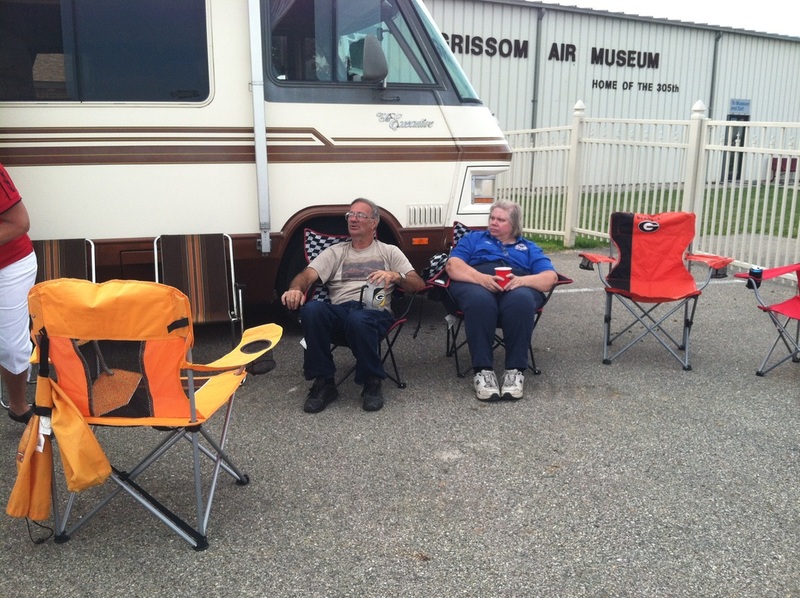 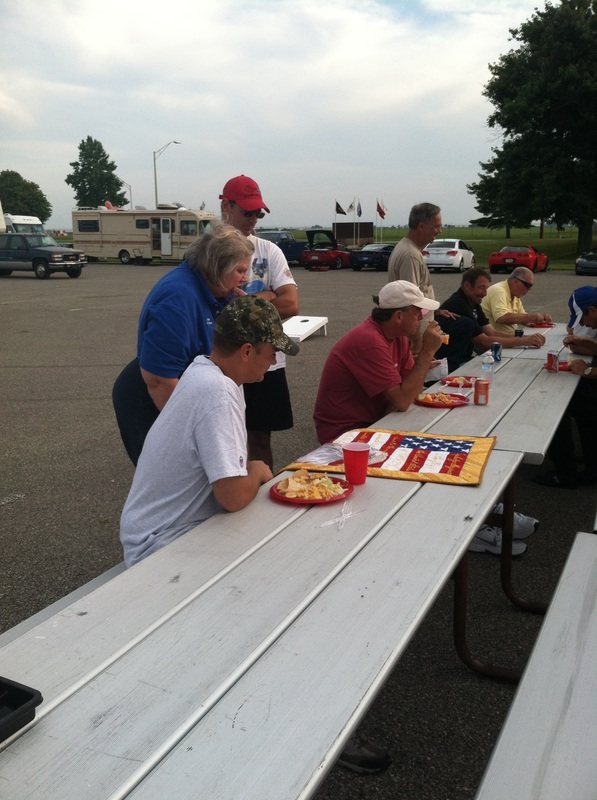 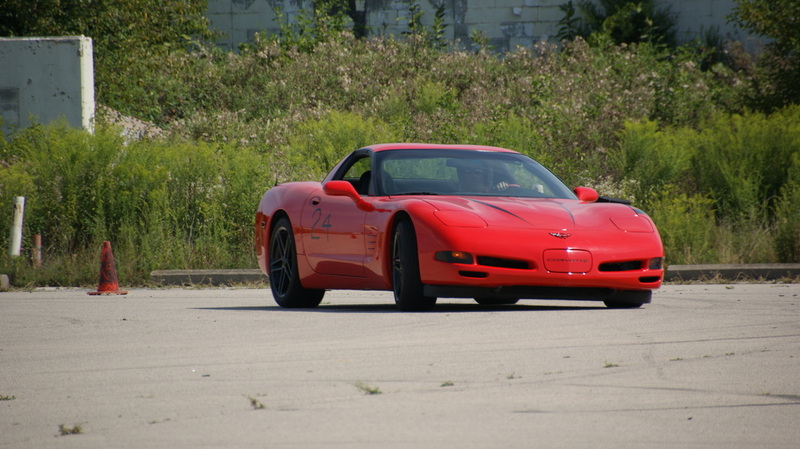 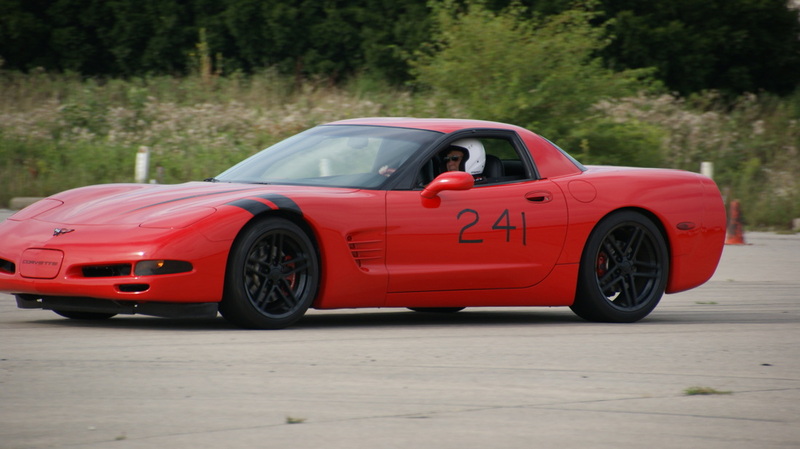 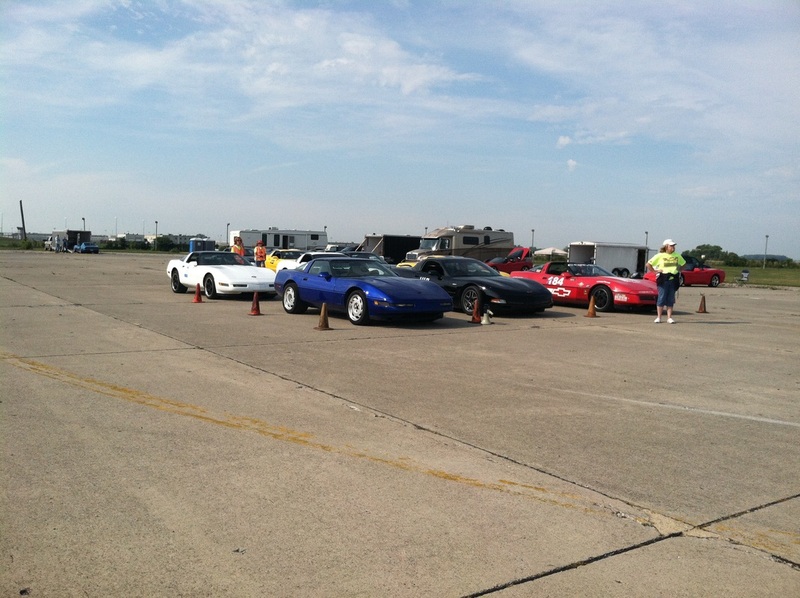 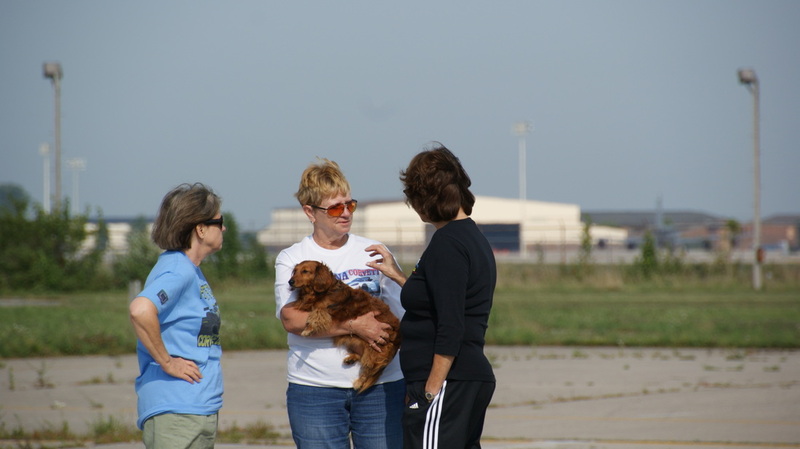 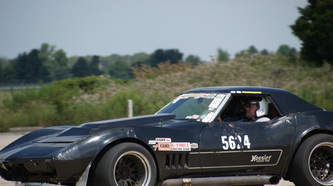 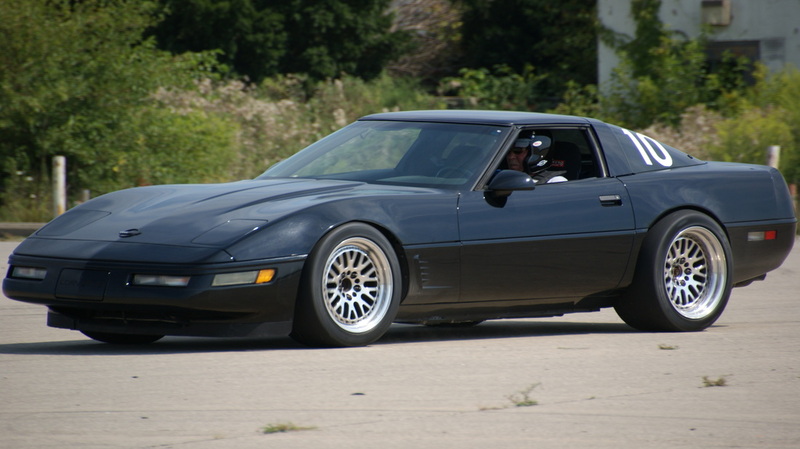 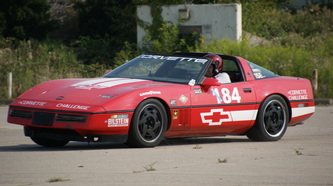 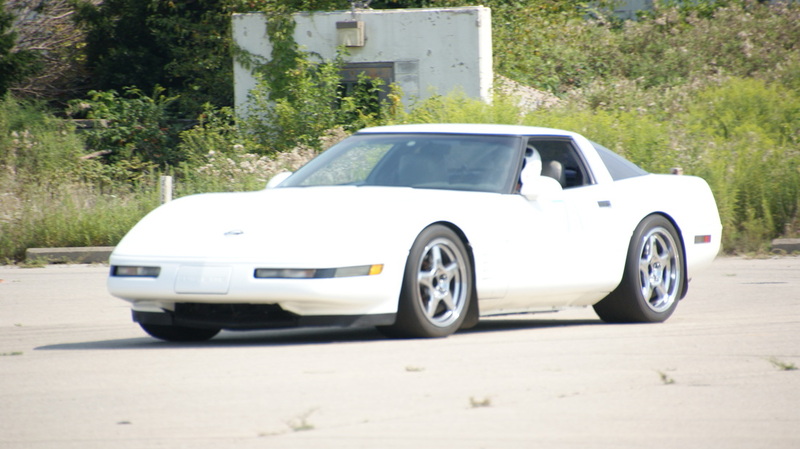 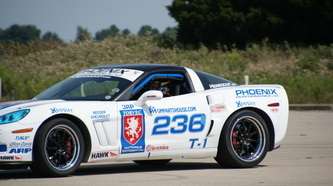 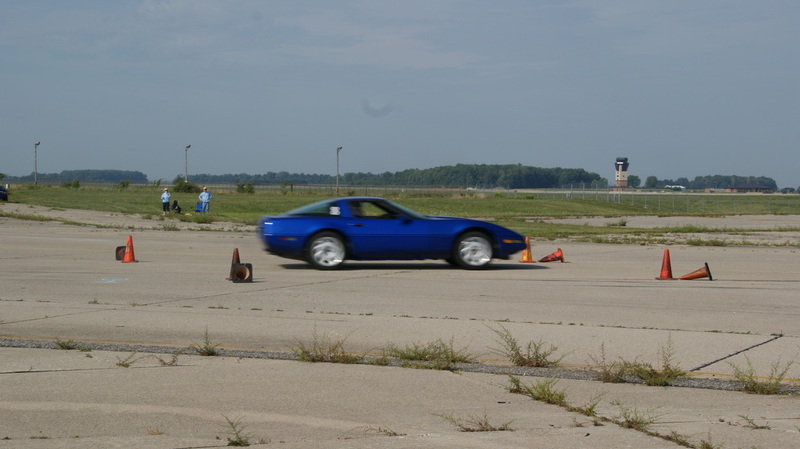 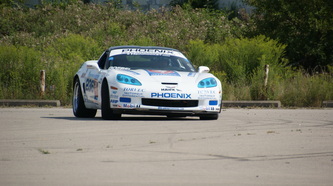 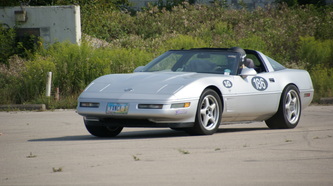 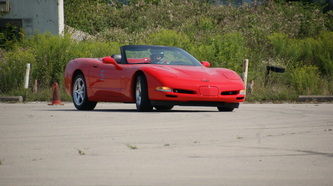 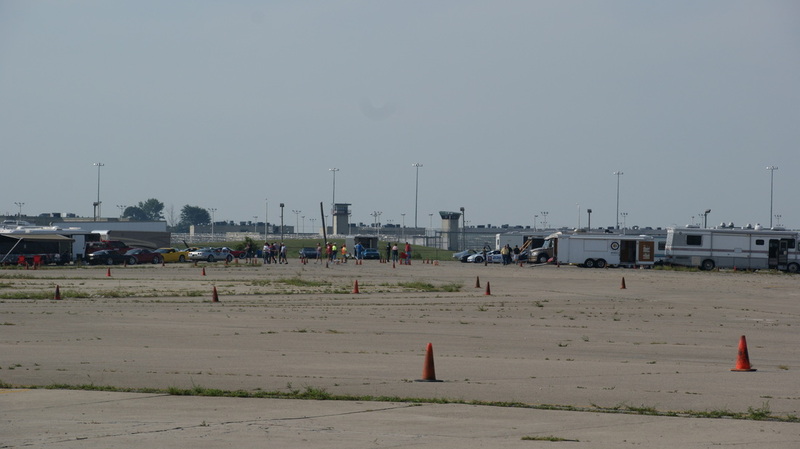 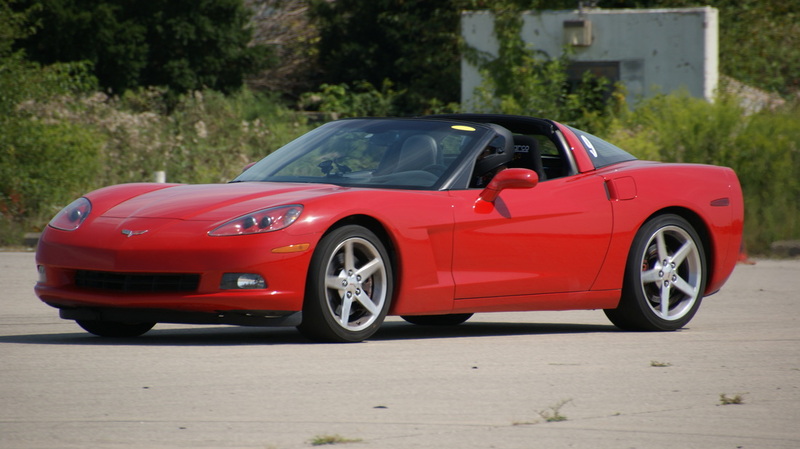 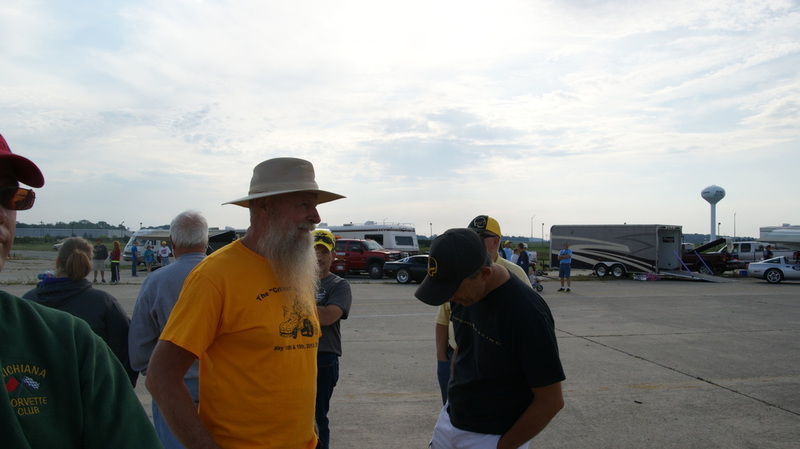 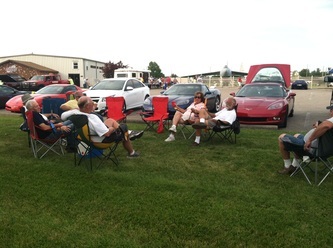 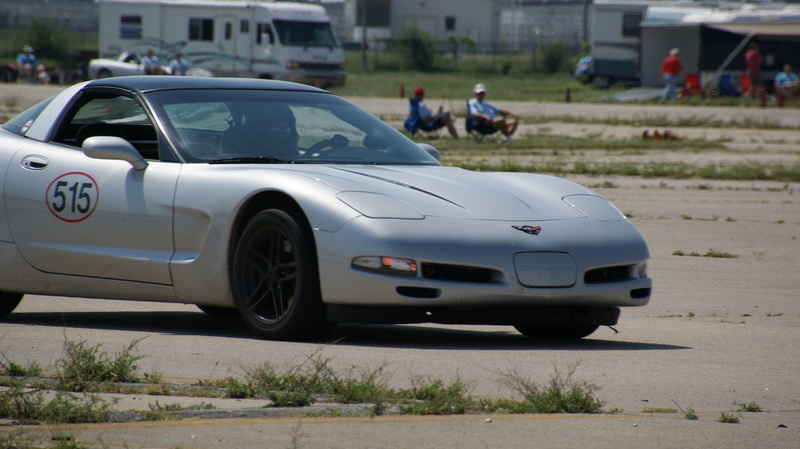 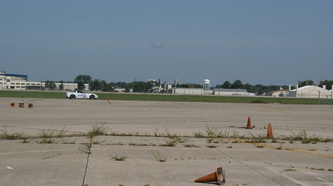 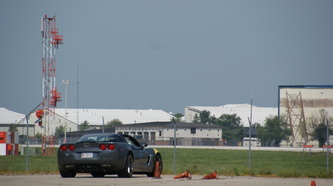 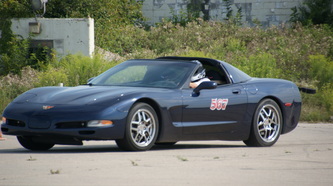 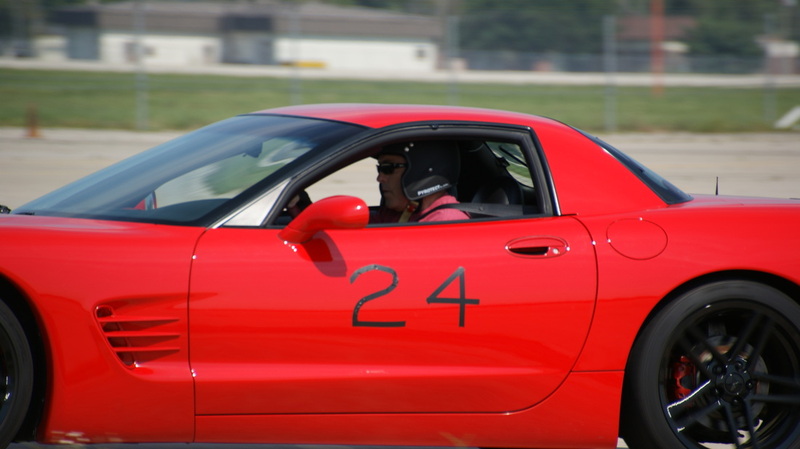 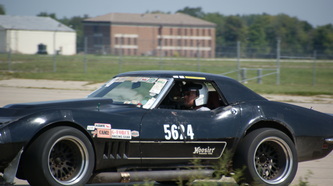 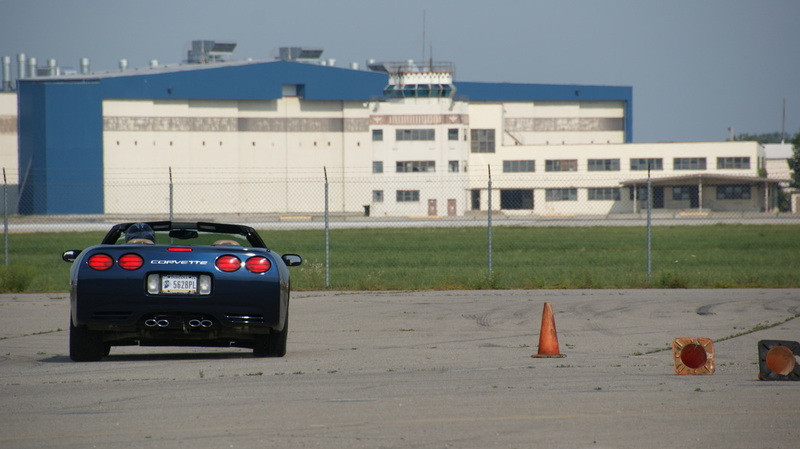 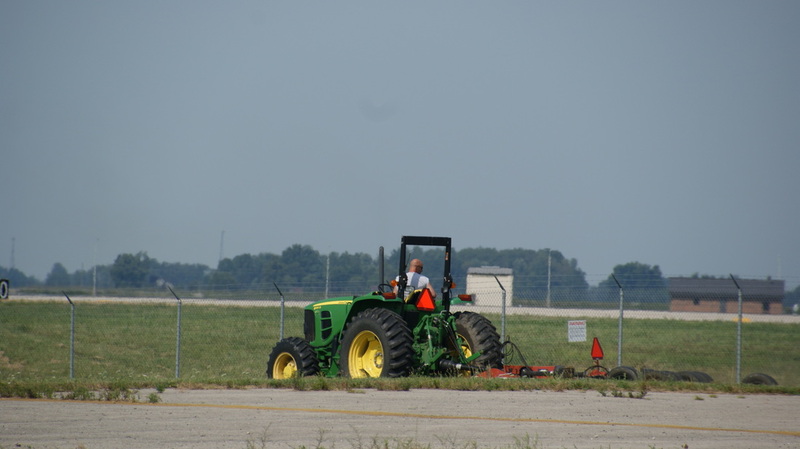 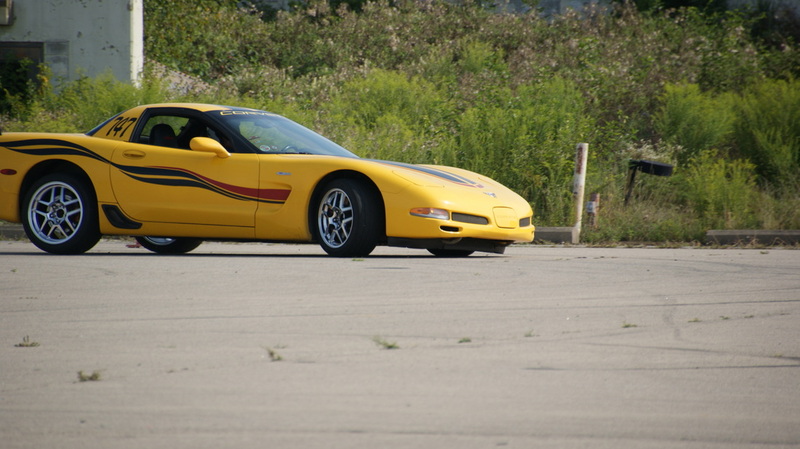 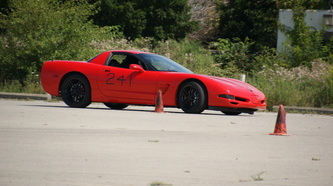 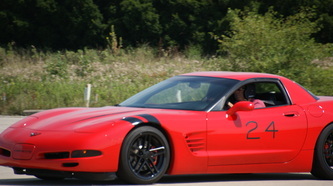 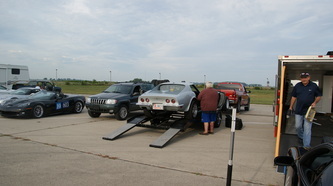 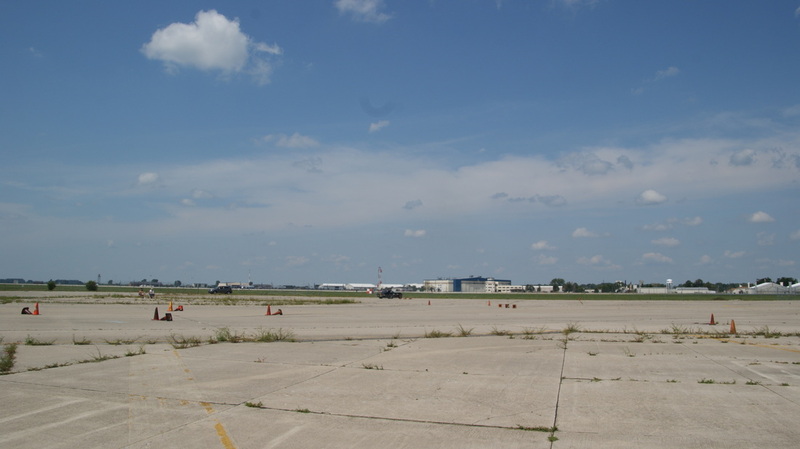 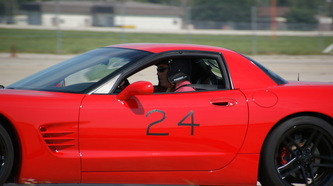 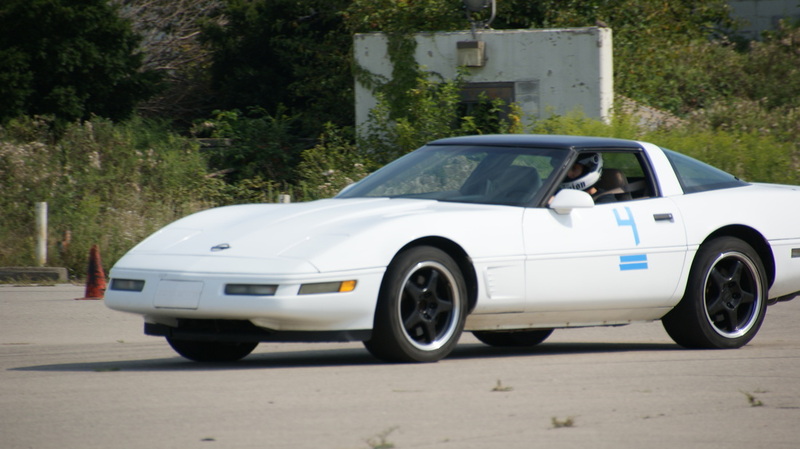 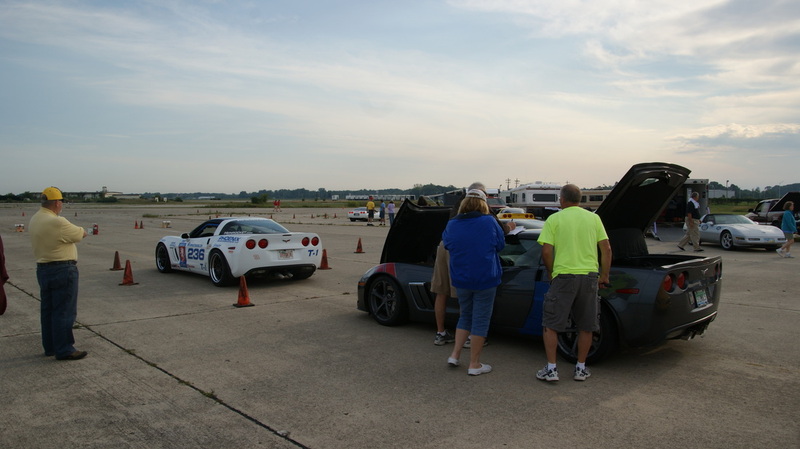 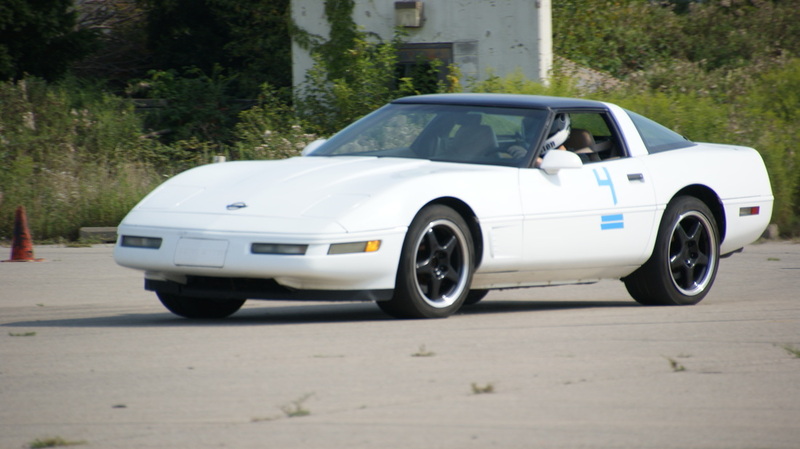 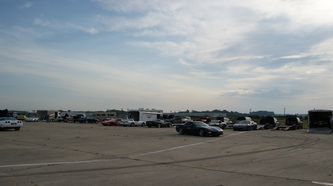 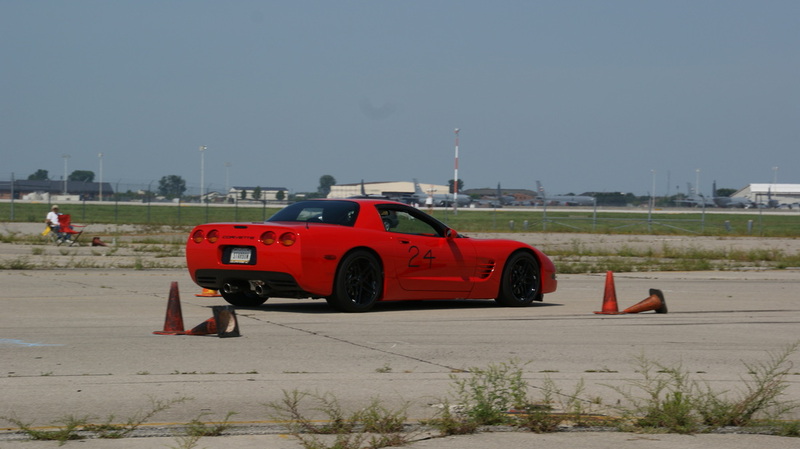 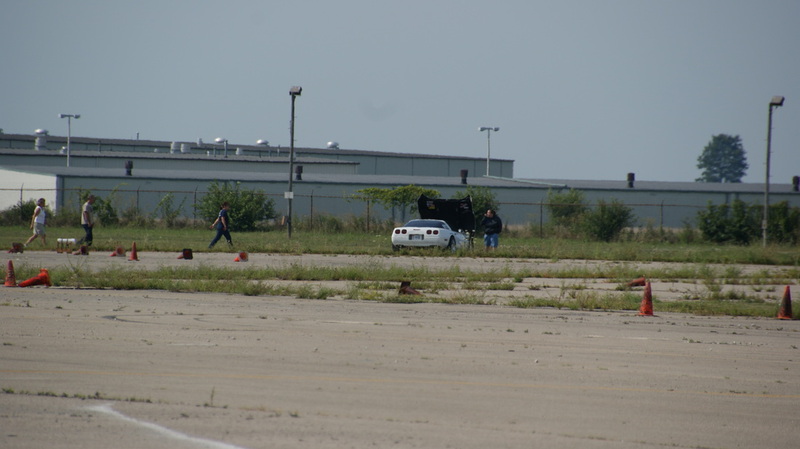 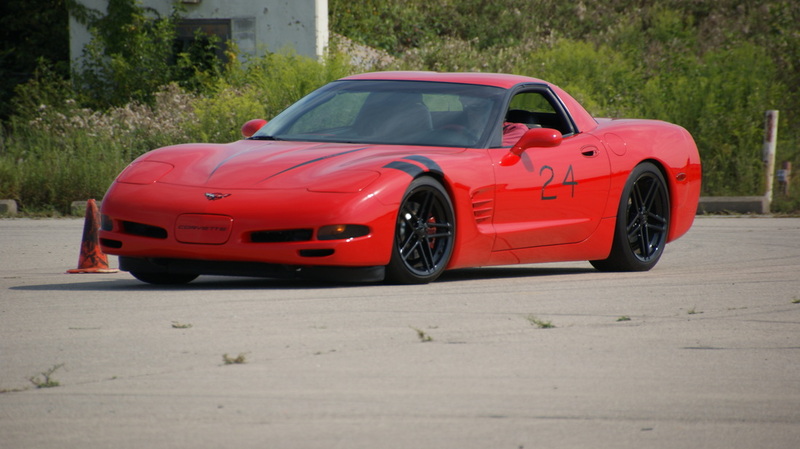 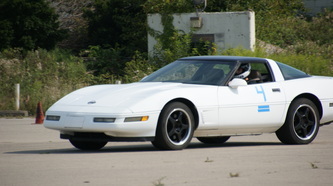 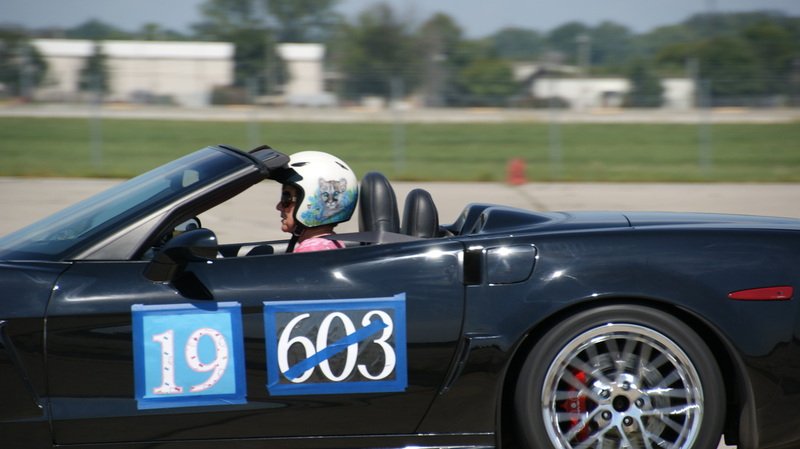 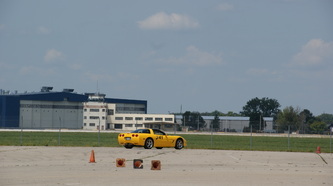 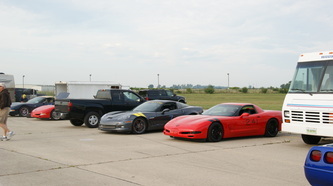 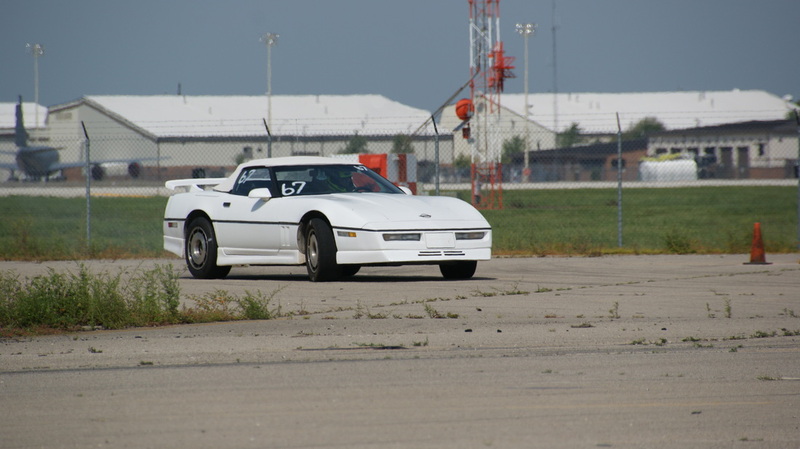 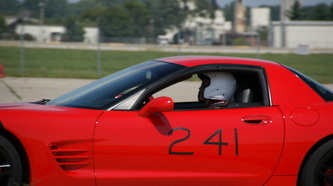 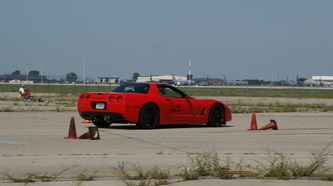 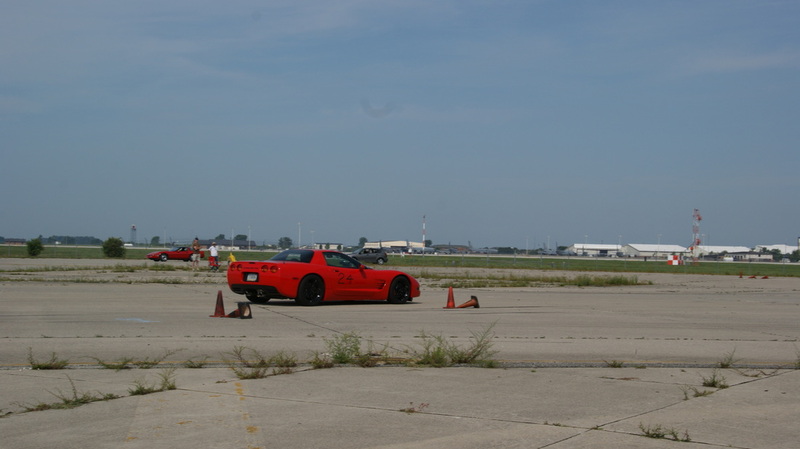 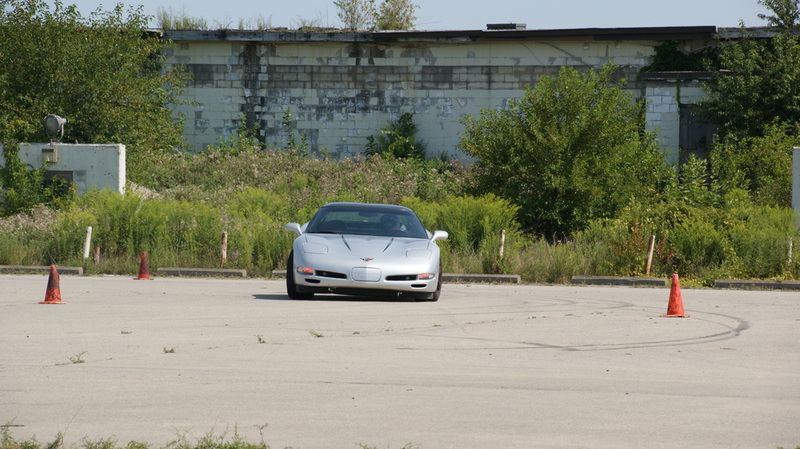 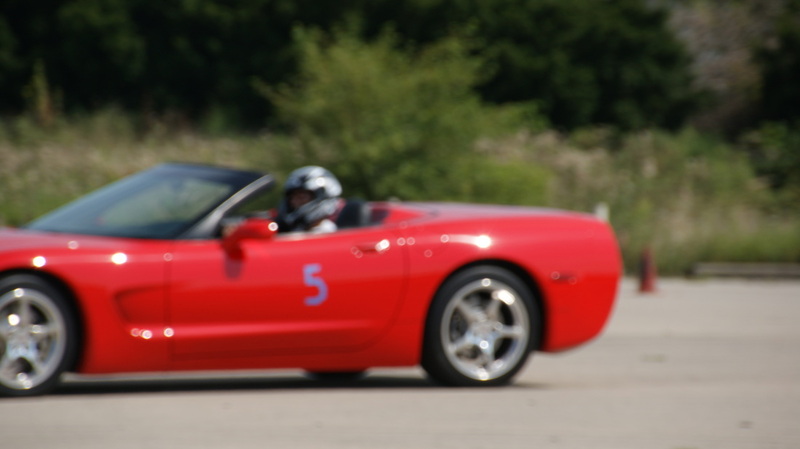 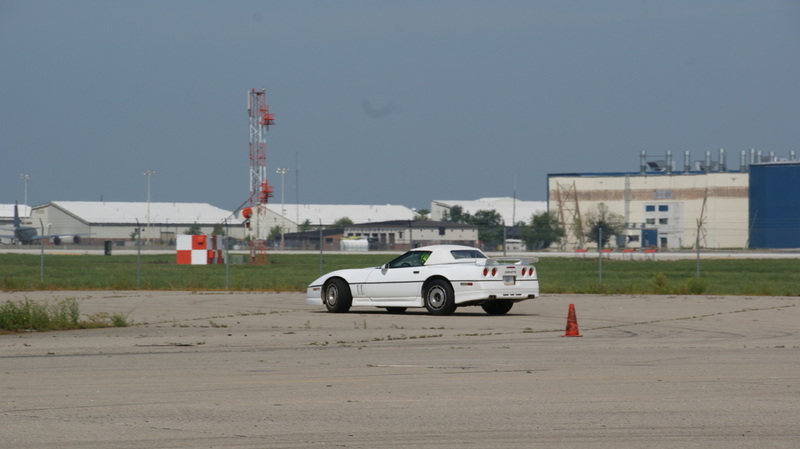 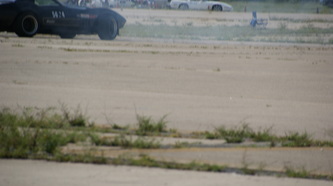 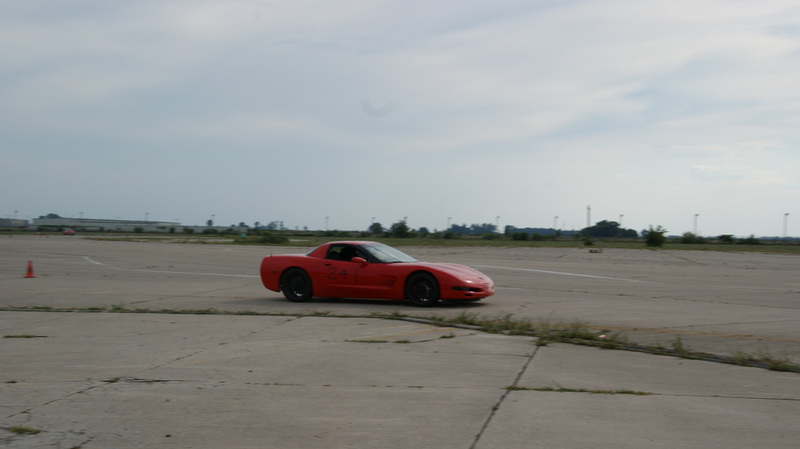 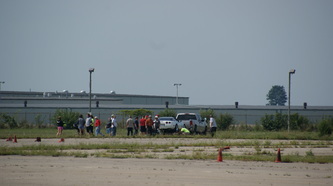 On the weekend of August 17 & 18 the Fort Wayne Corvette Club and Corvette Club of Indiana held 14 Low speed events at the Grissom Aeroplex location near Peru, IN. 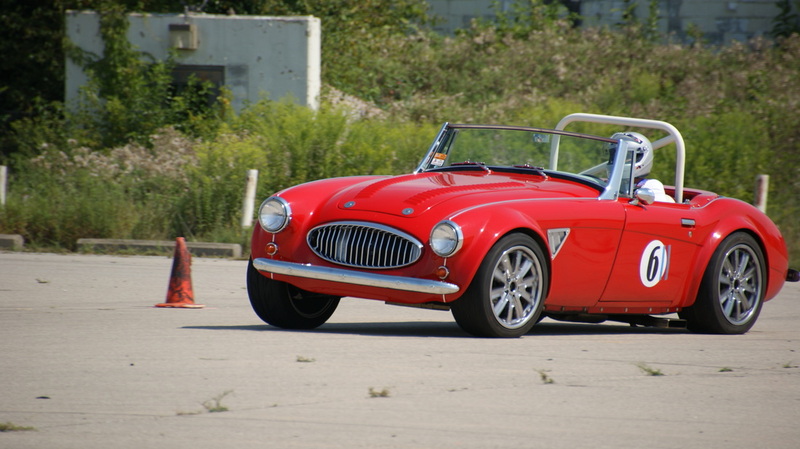 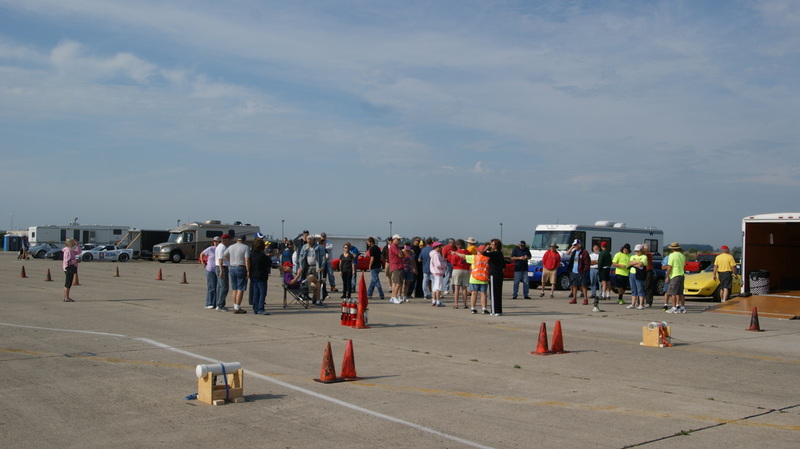 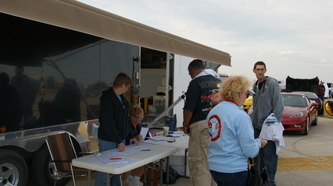 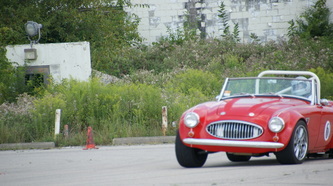 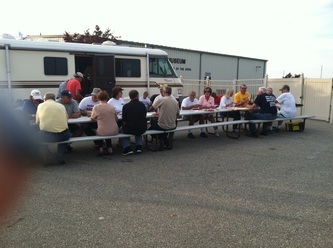 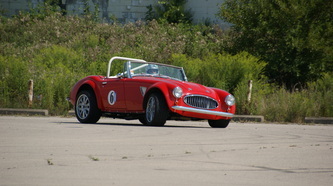 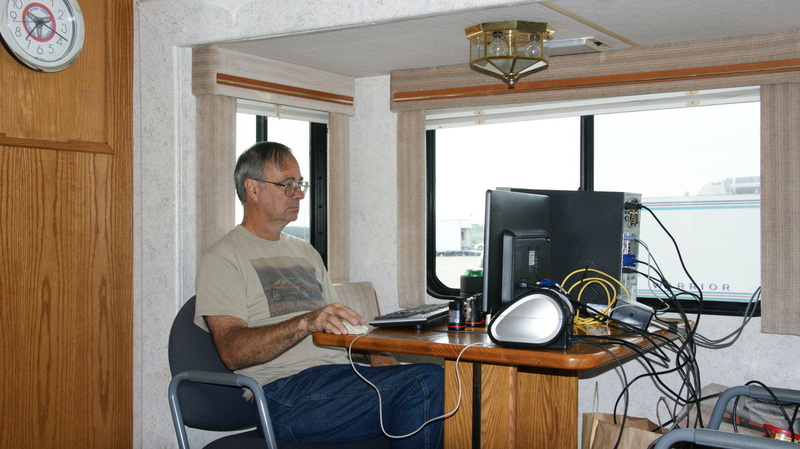 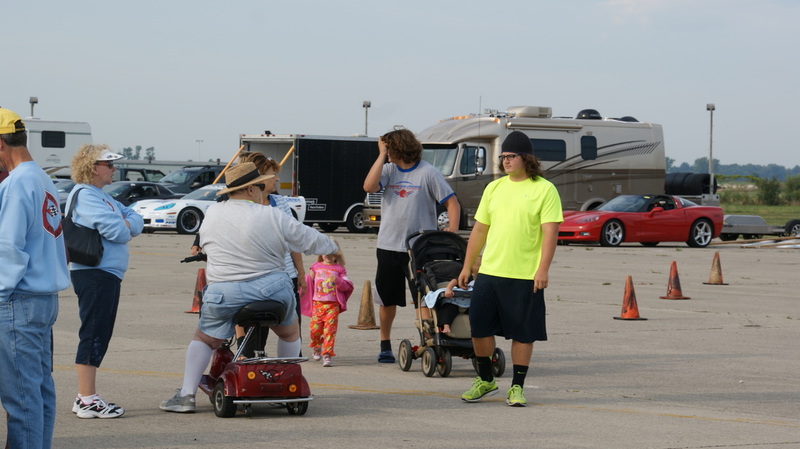 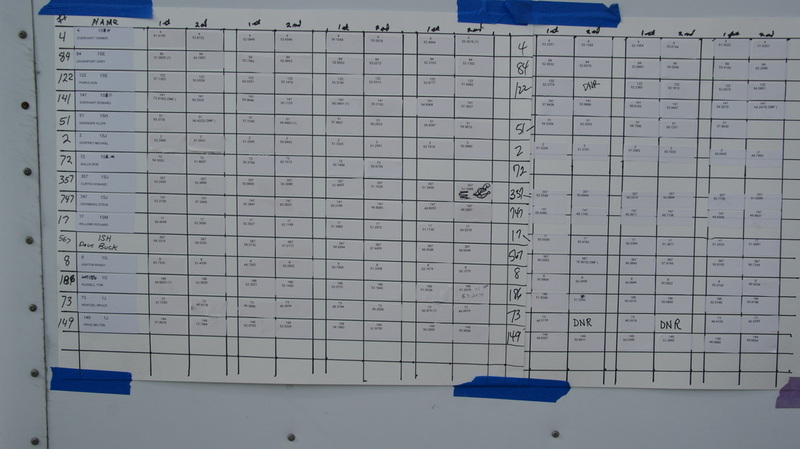 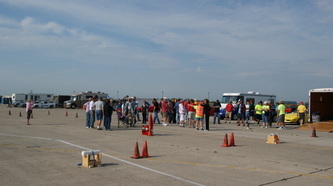 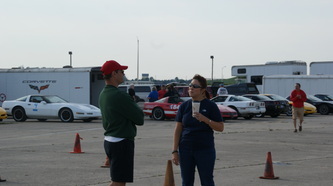 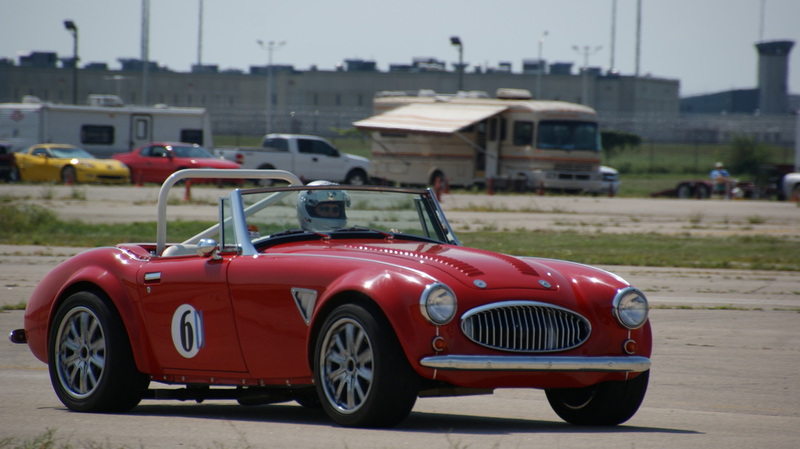 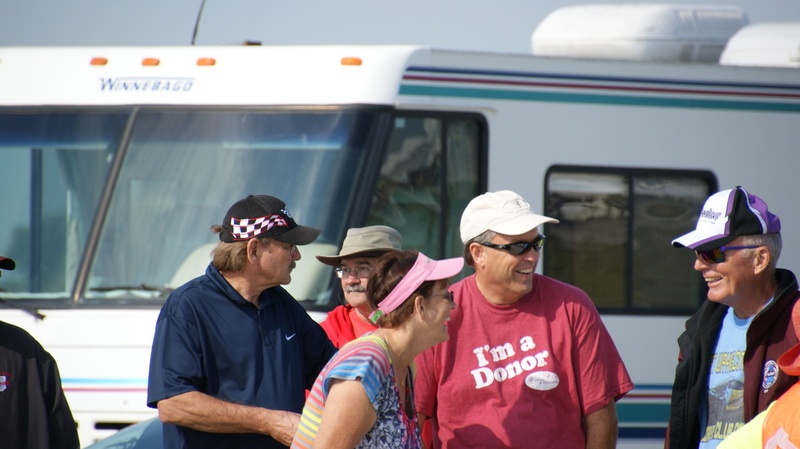 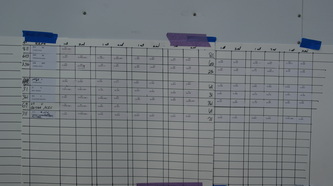 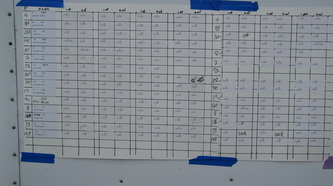 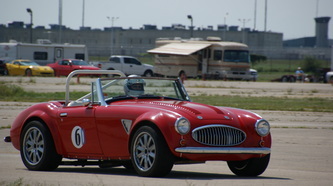 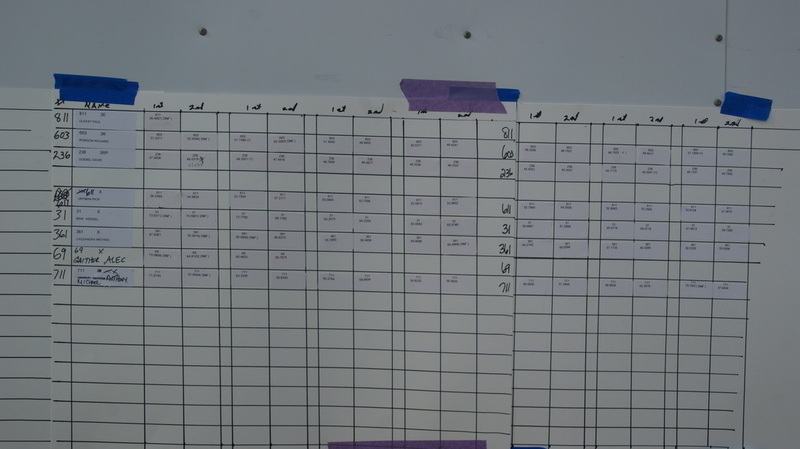 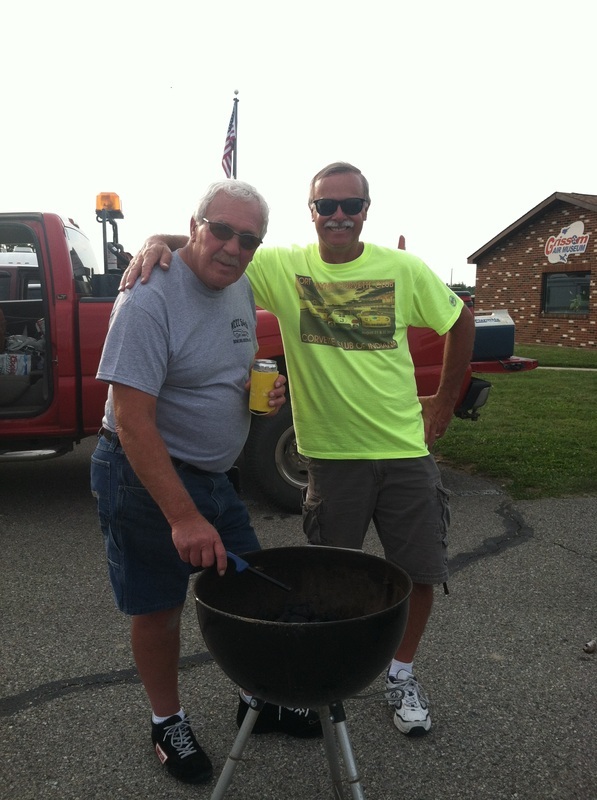 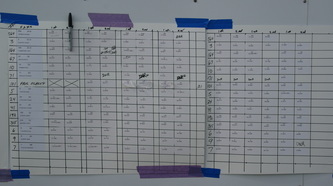 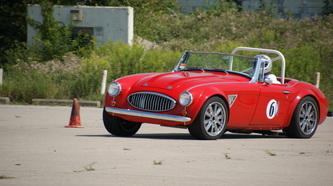 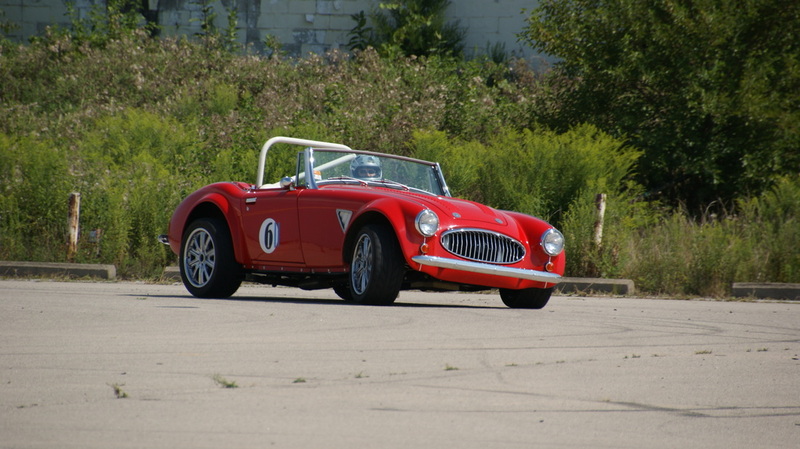 Saturday was a beautiful day, with a total of 45 drivers signing up for the events. 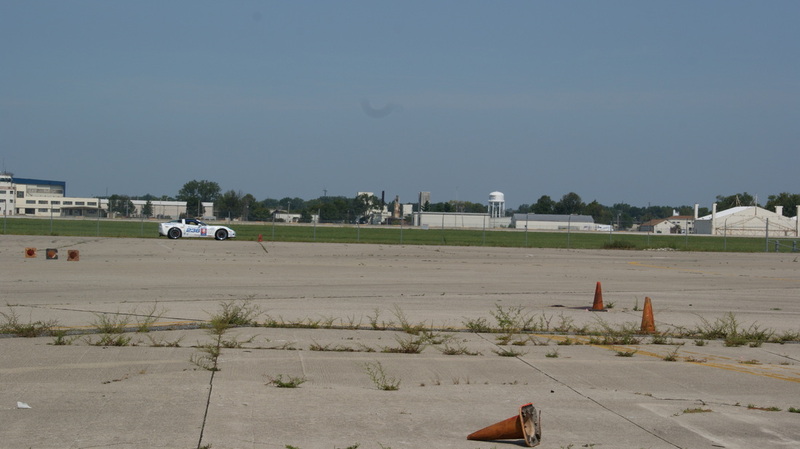 Included in that number were 4 new drivers who had attended the Region's driving school a few week earlier and a number of out of state participants running for National Points. 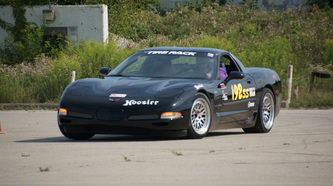 The day progressed well with one on track breakdown and a few timing glitches slowing things down. Once the day was done a number of attendees that were returning for Sunday's running headed to the Grissom Museum for an evening meal provided by the sponsoring clubs. 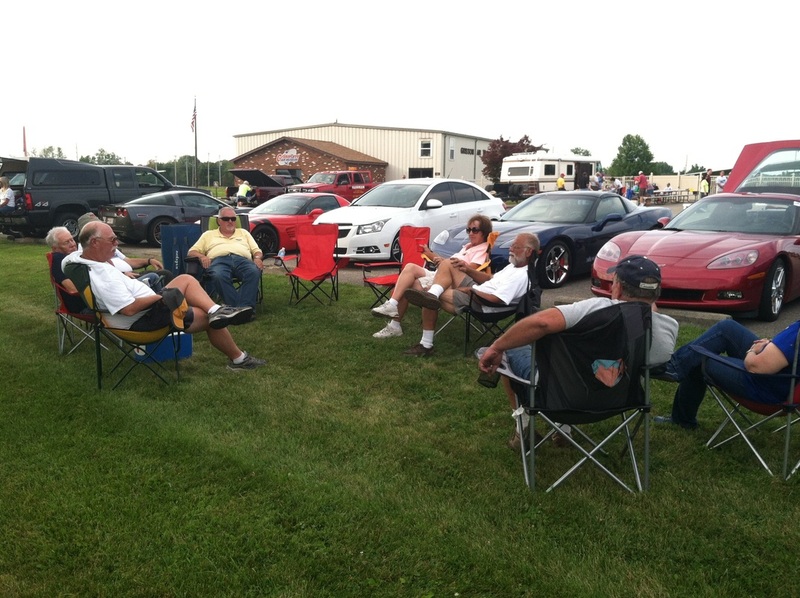 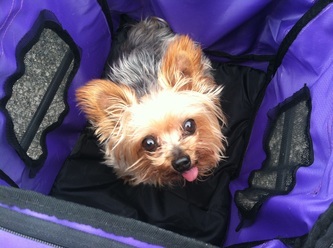 A good day was had by all who attended.